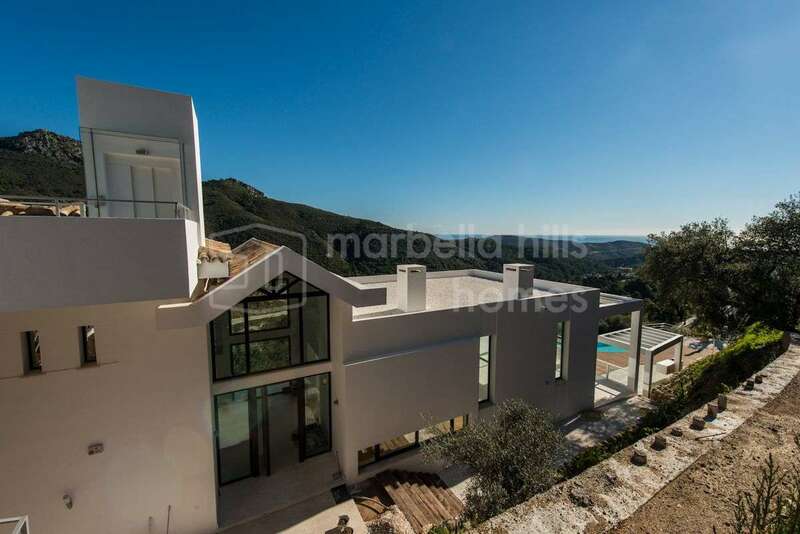 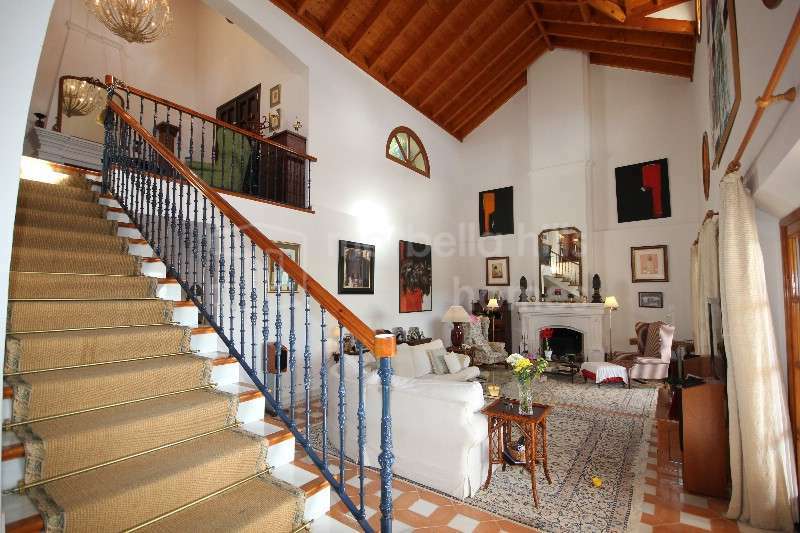 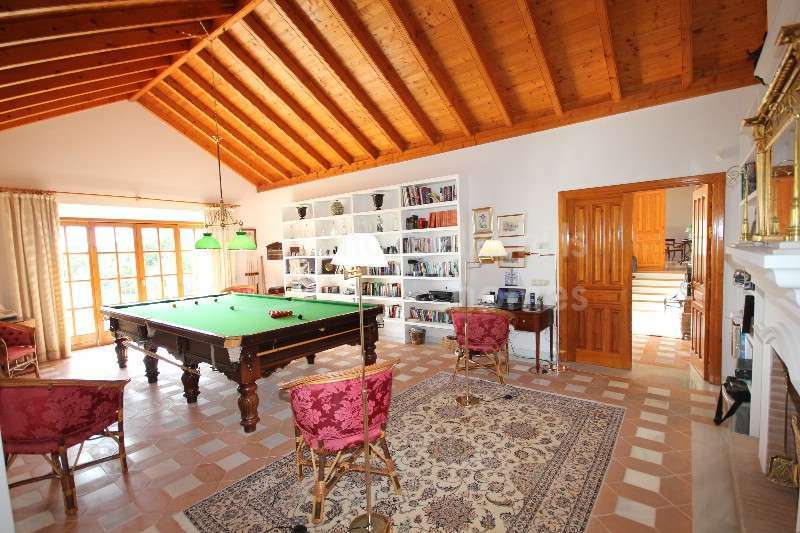 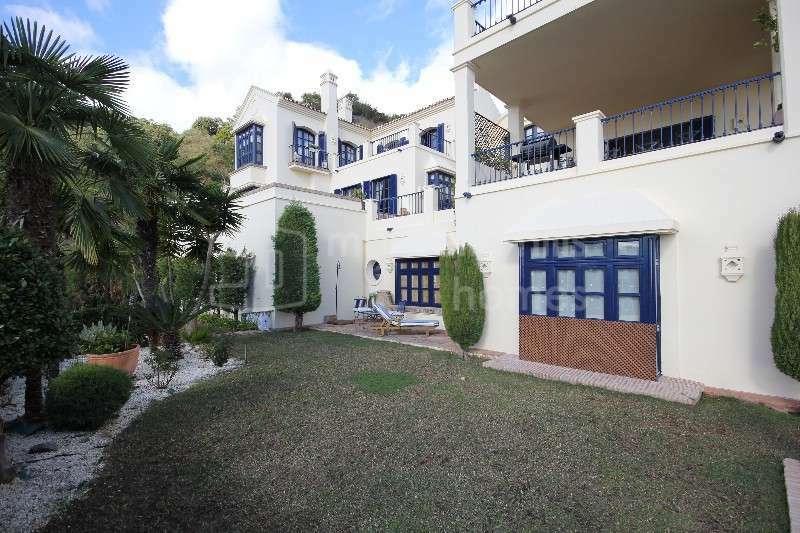 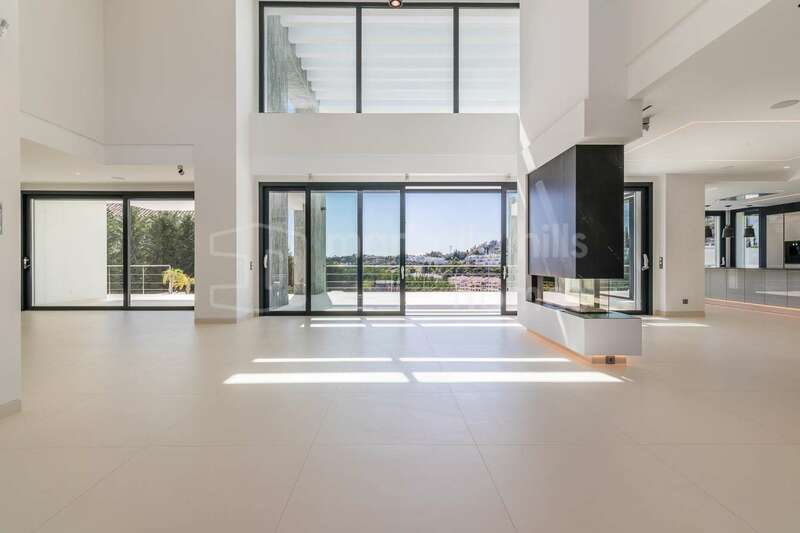 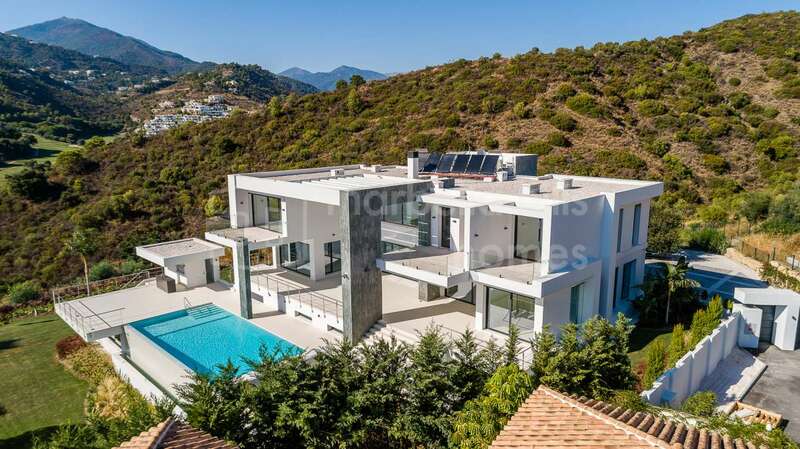 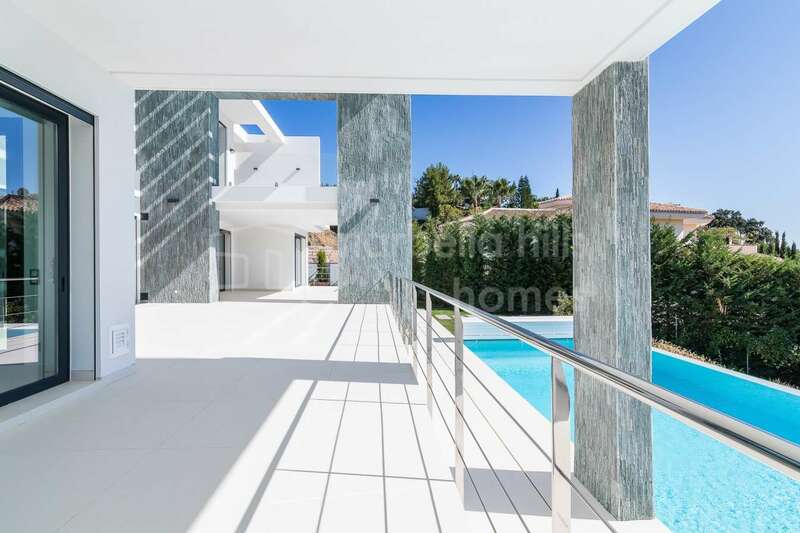 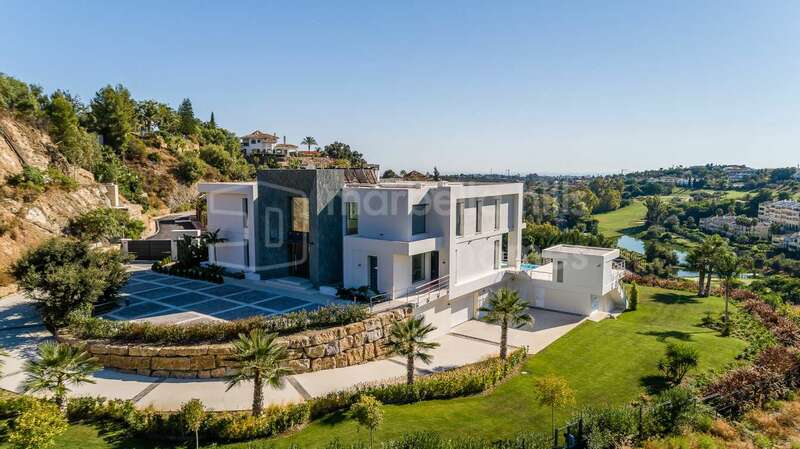 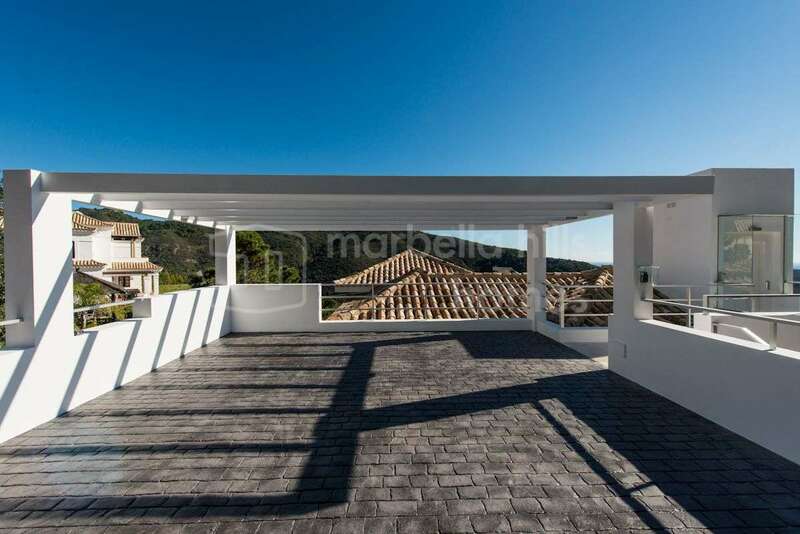 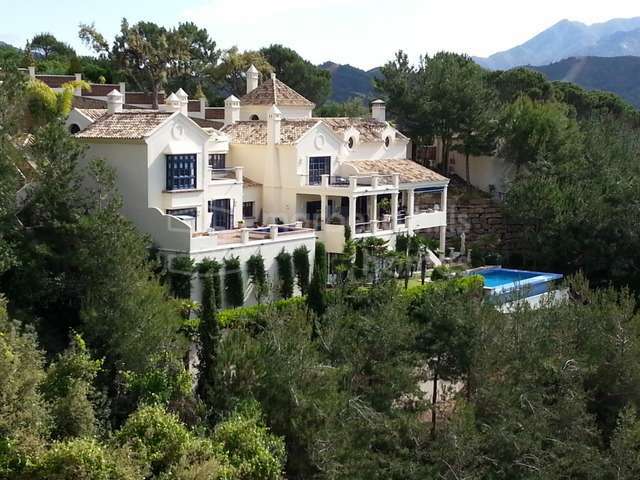 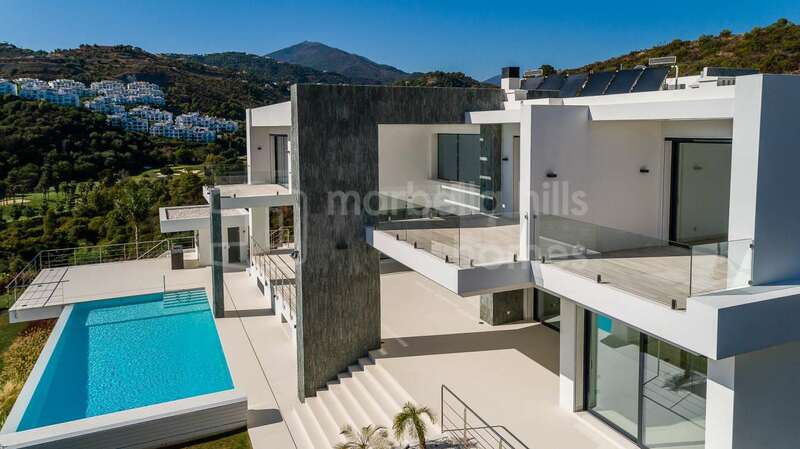 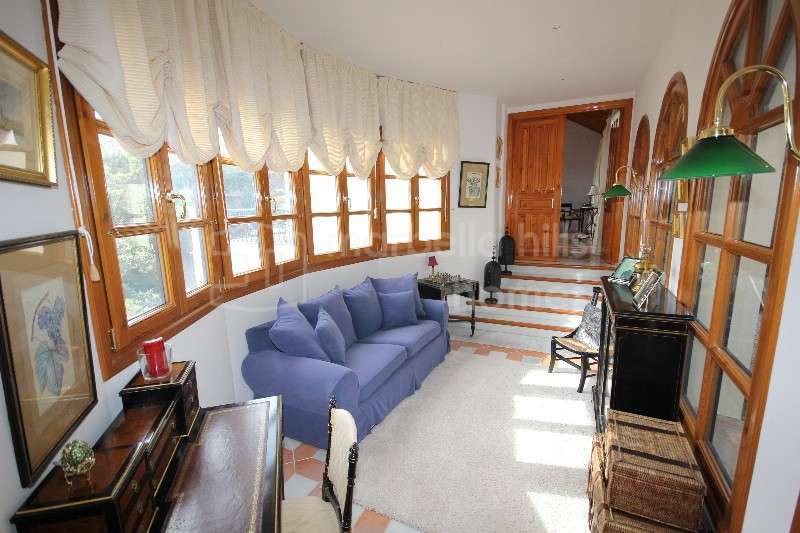 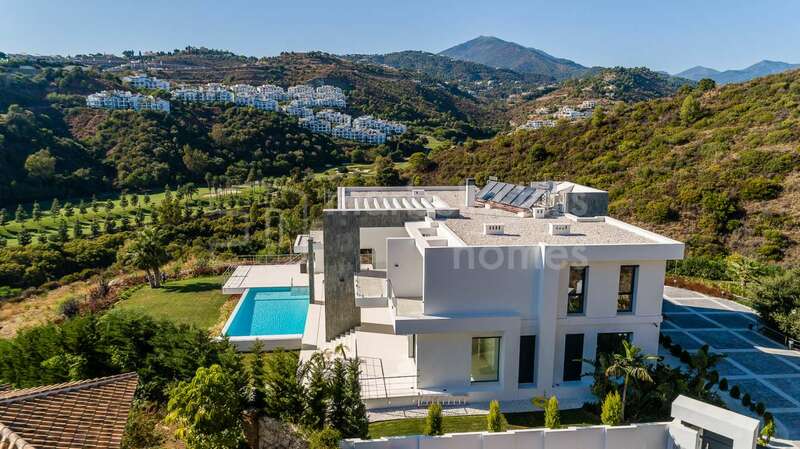 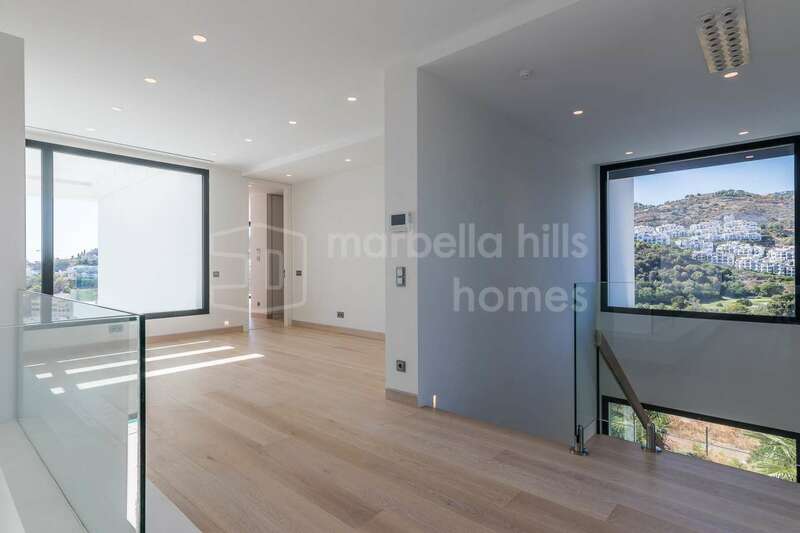 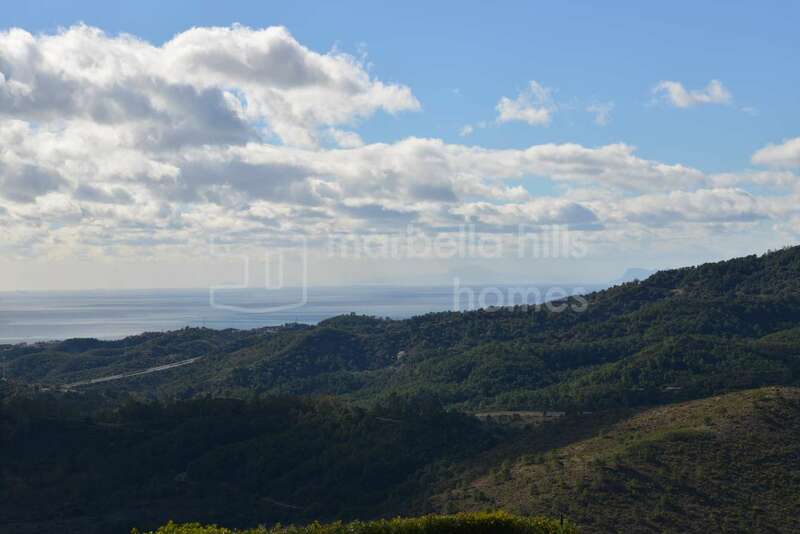 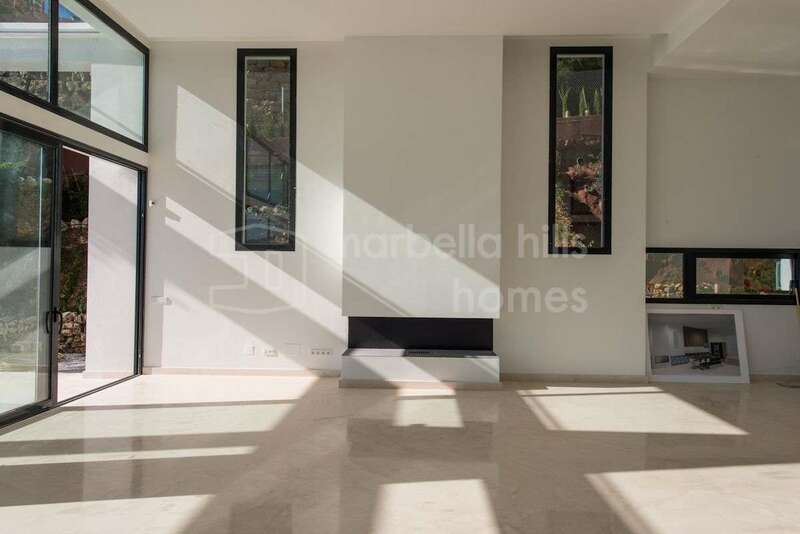 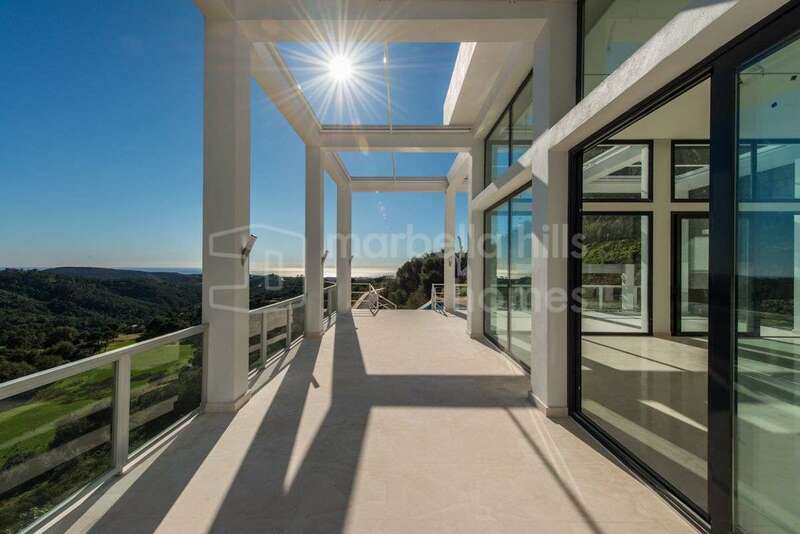 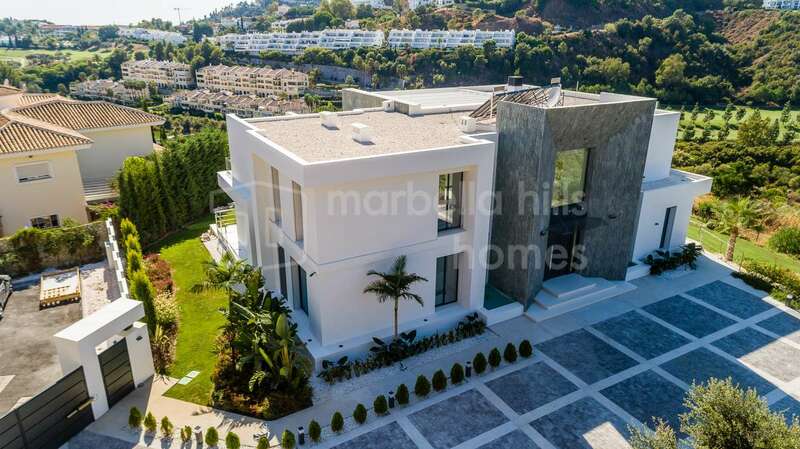 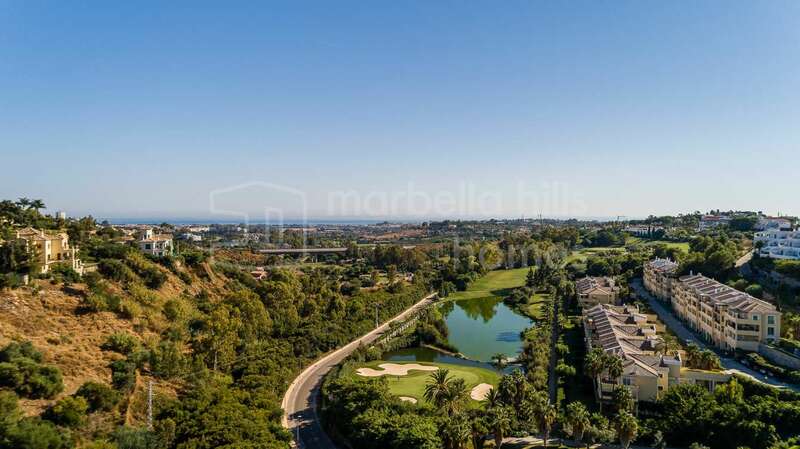 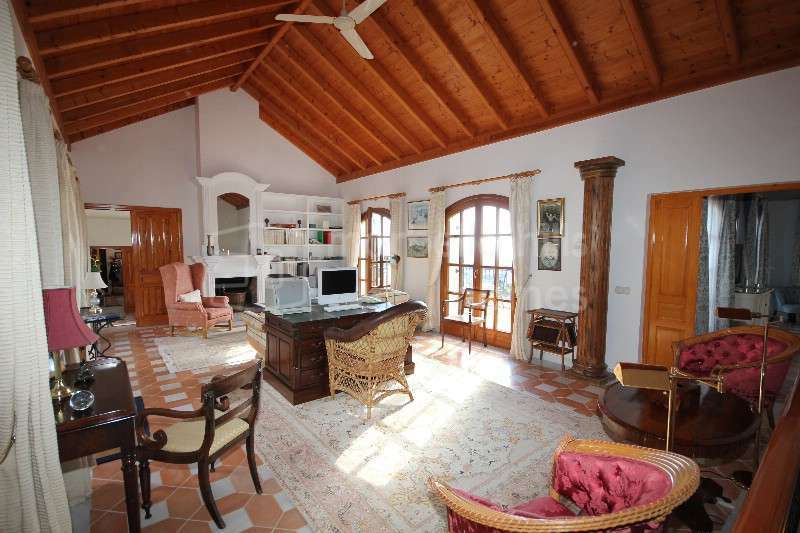 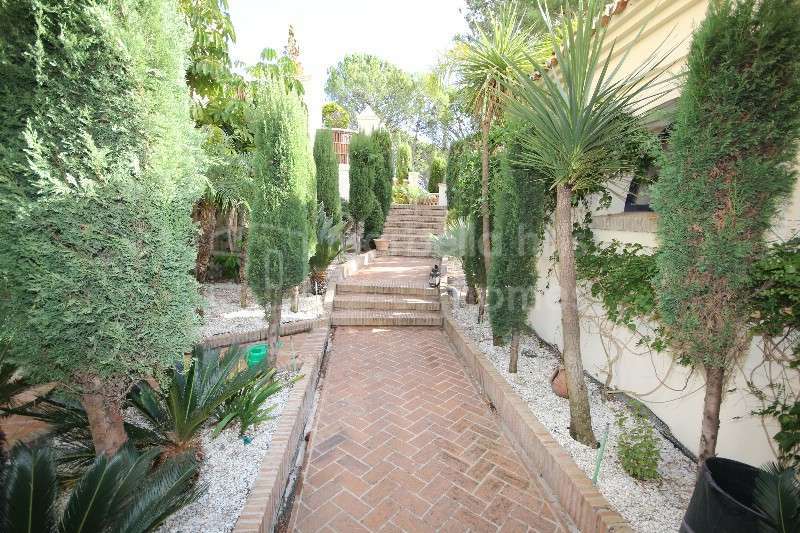 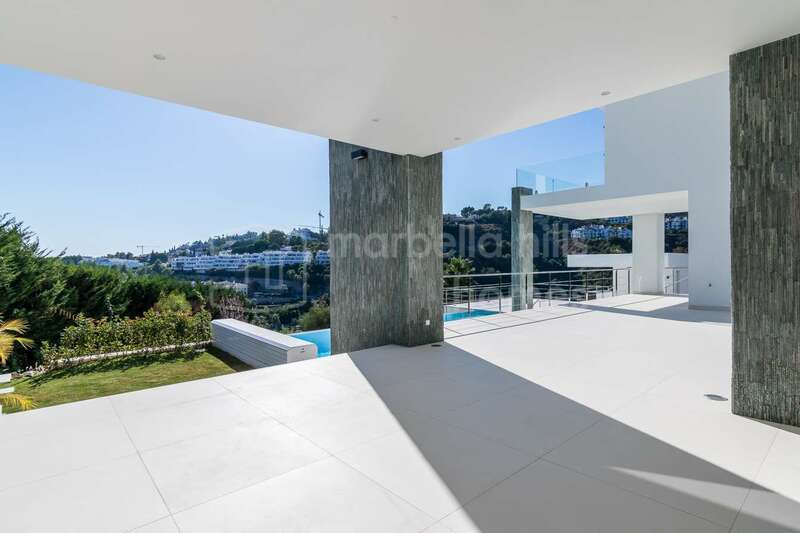 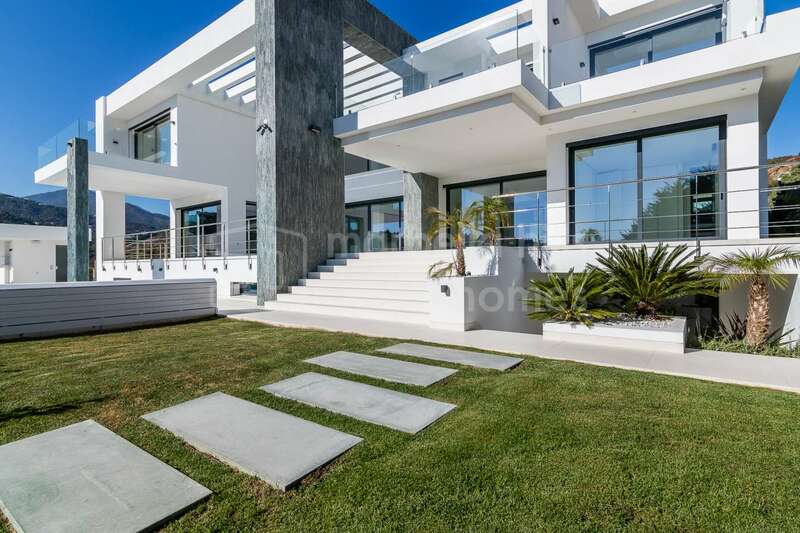 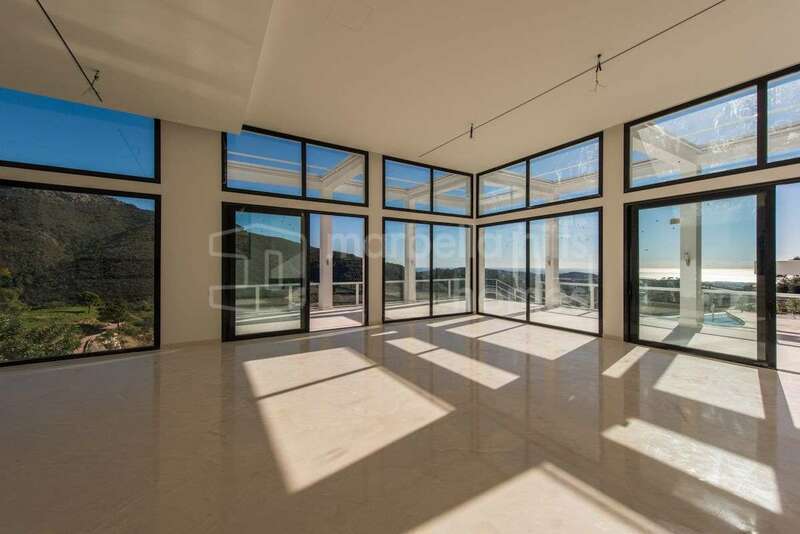 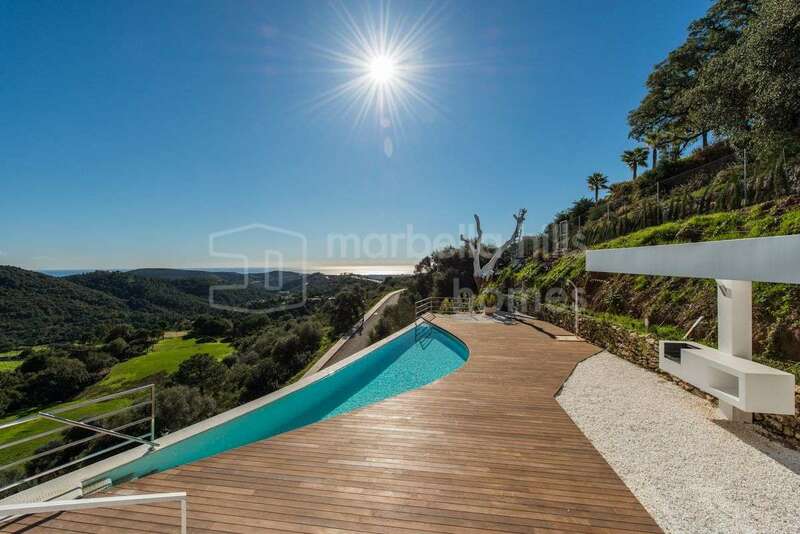 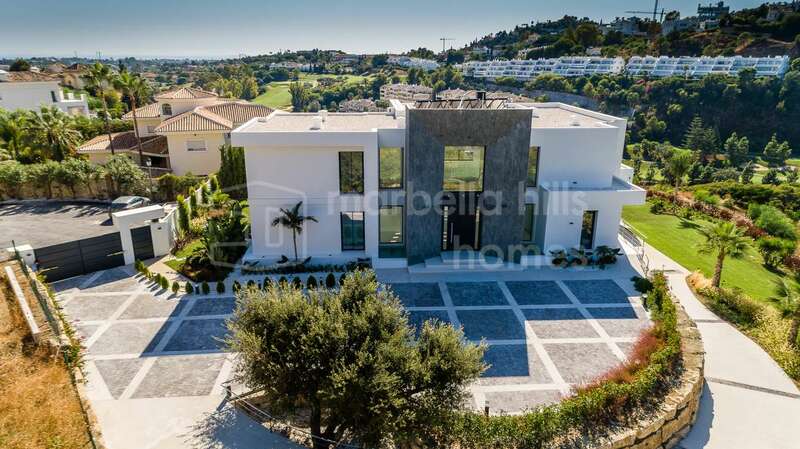 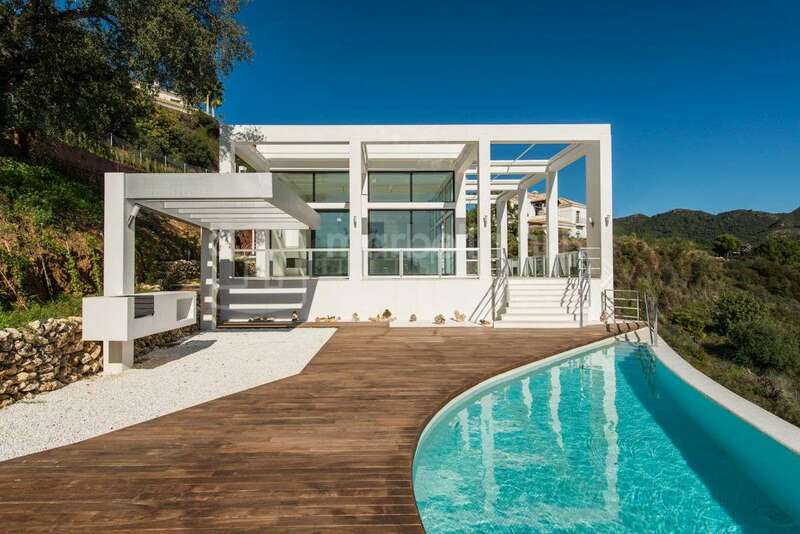 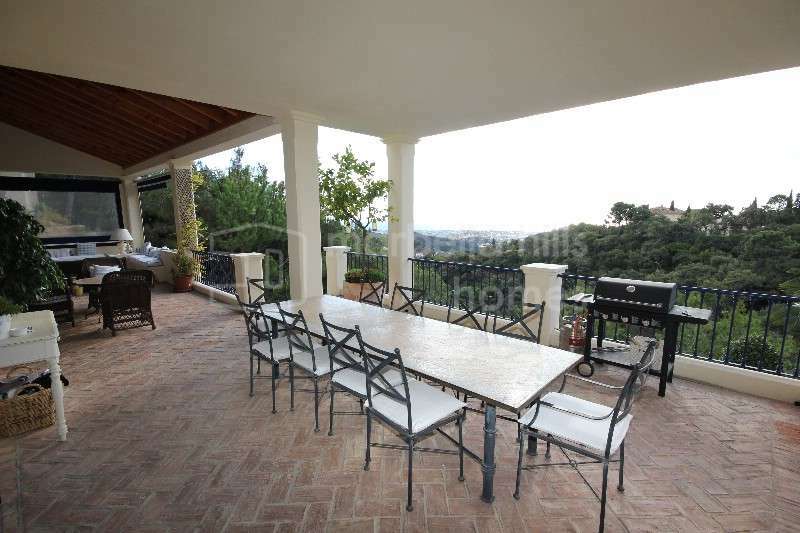 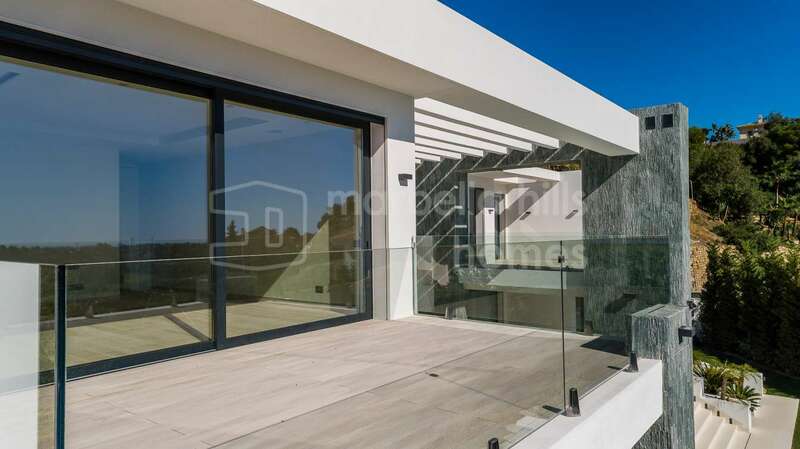 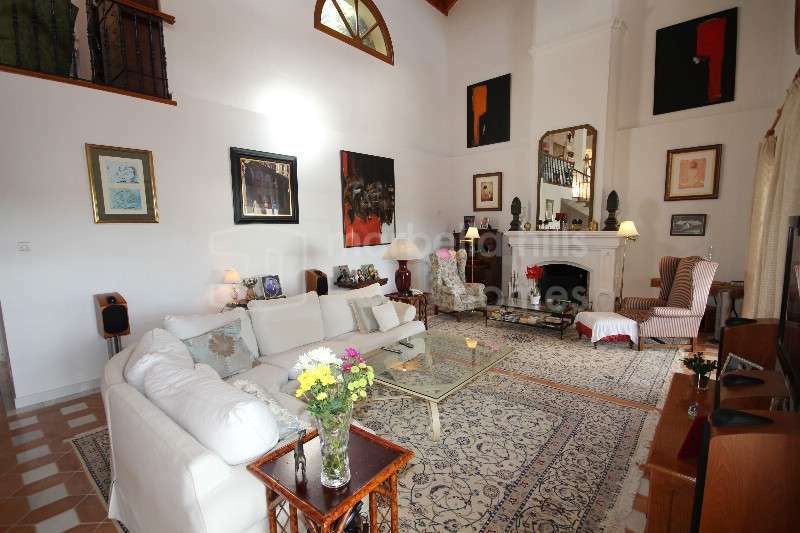 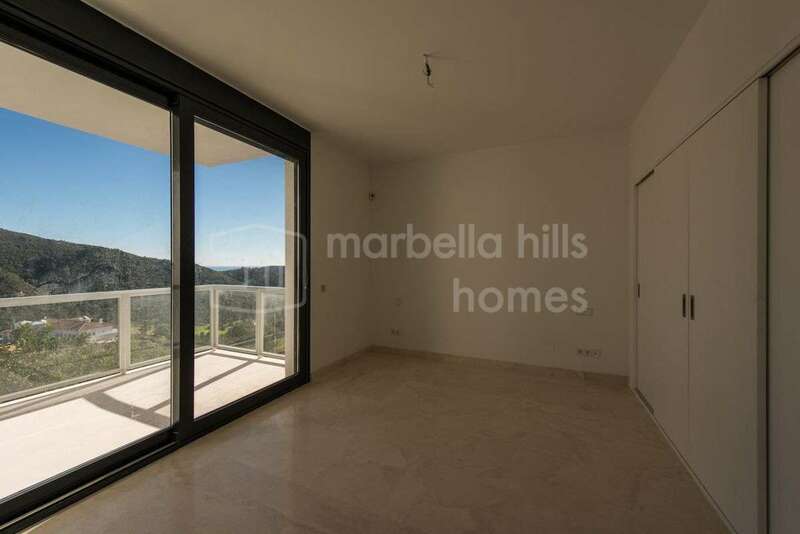 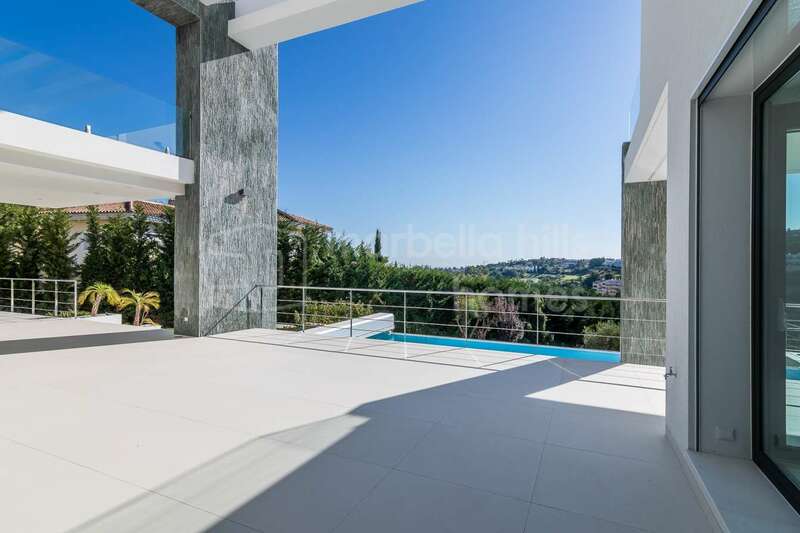 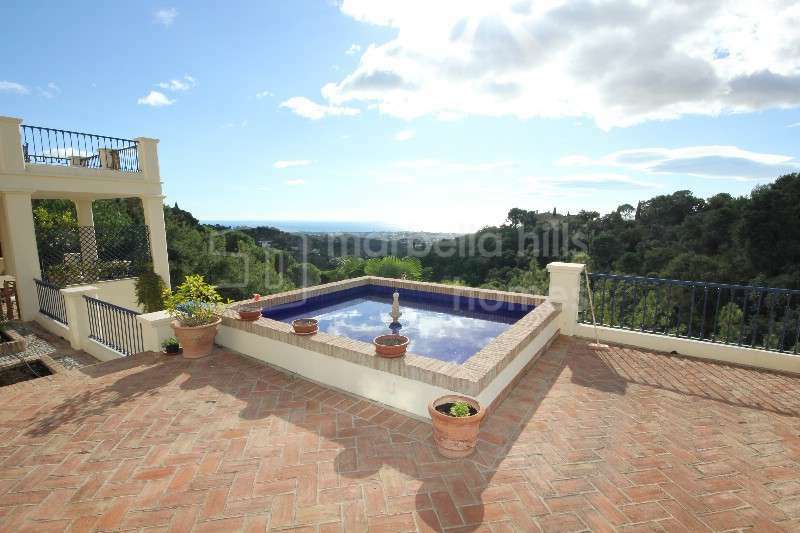 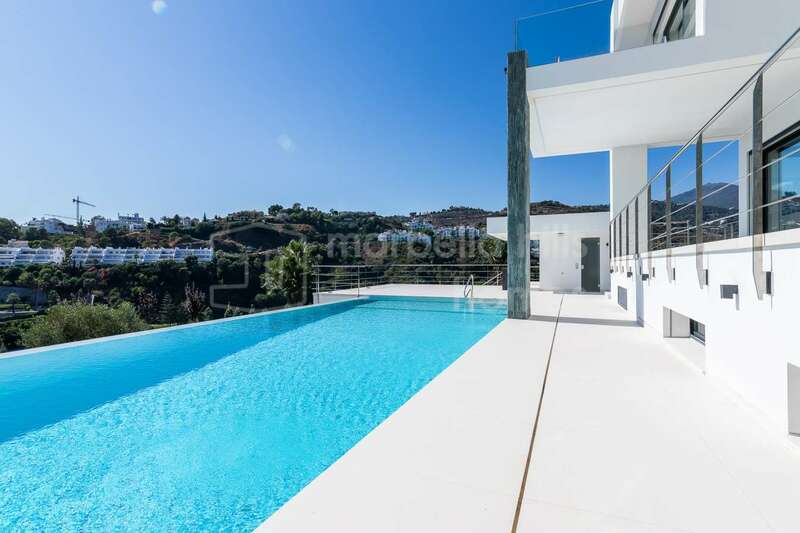 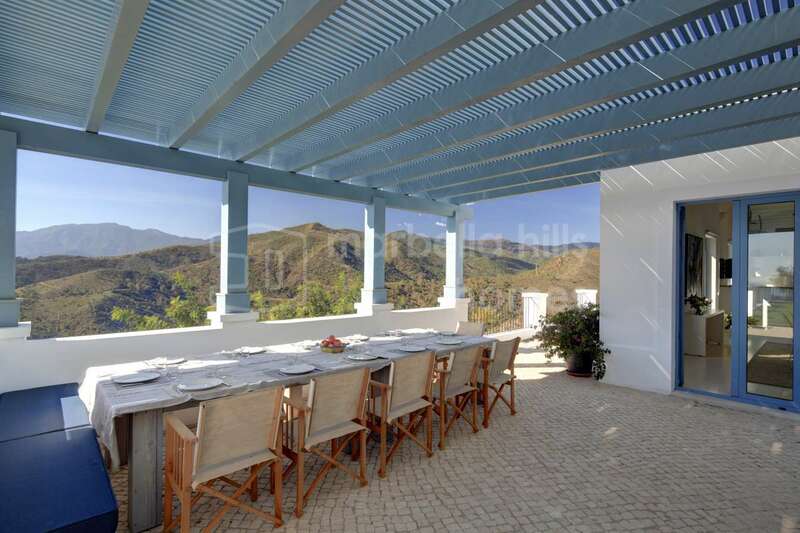 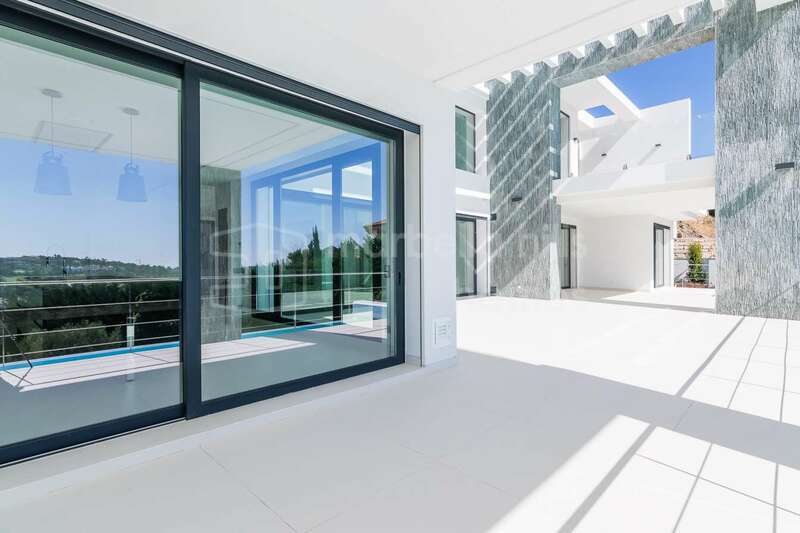 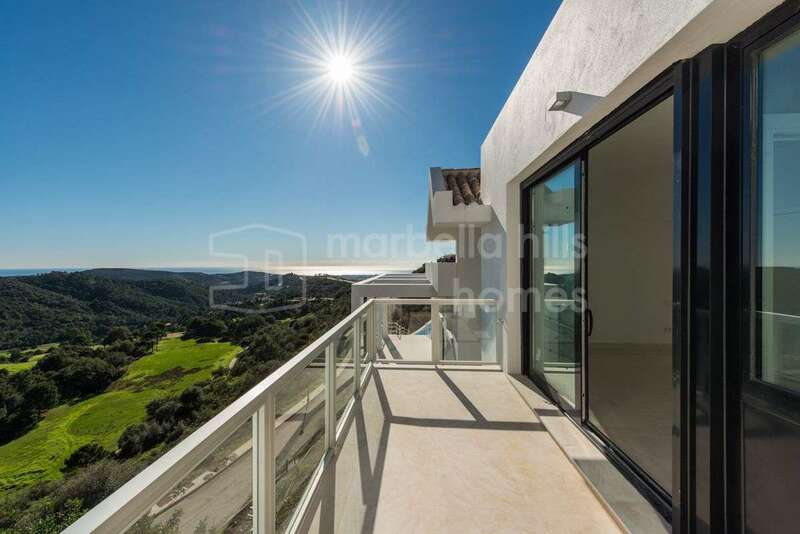 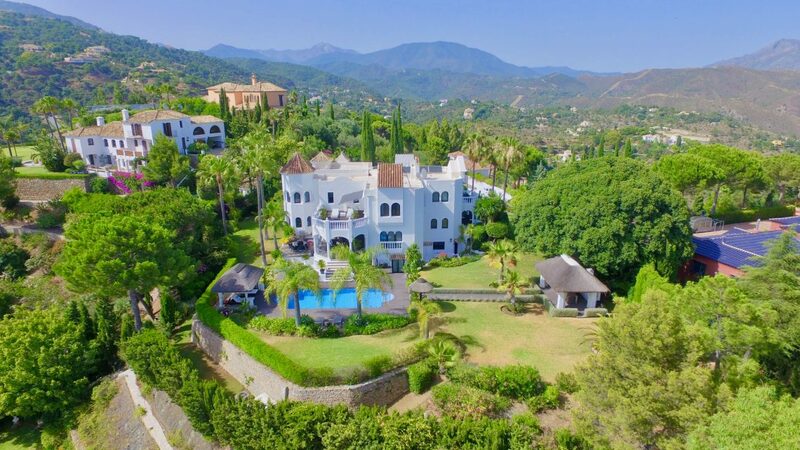 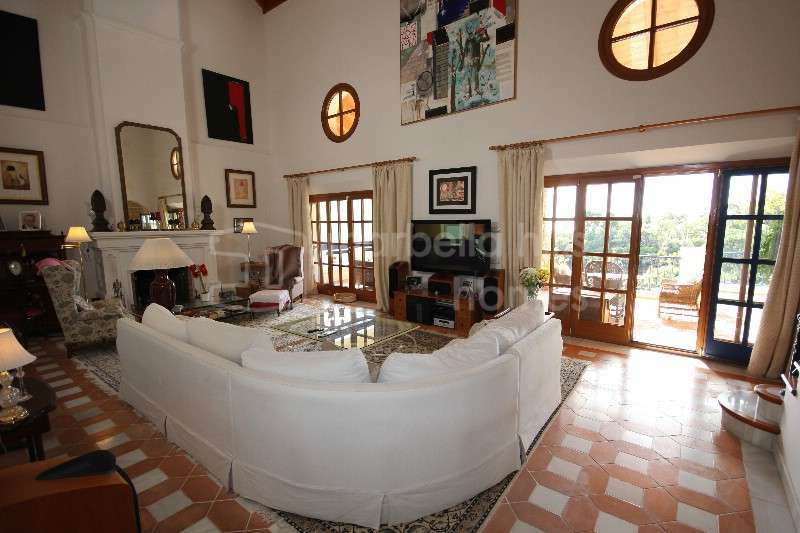 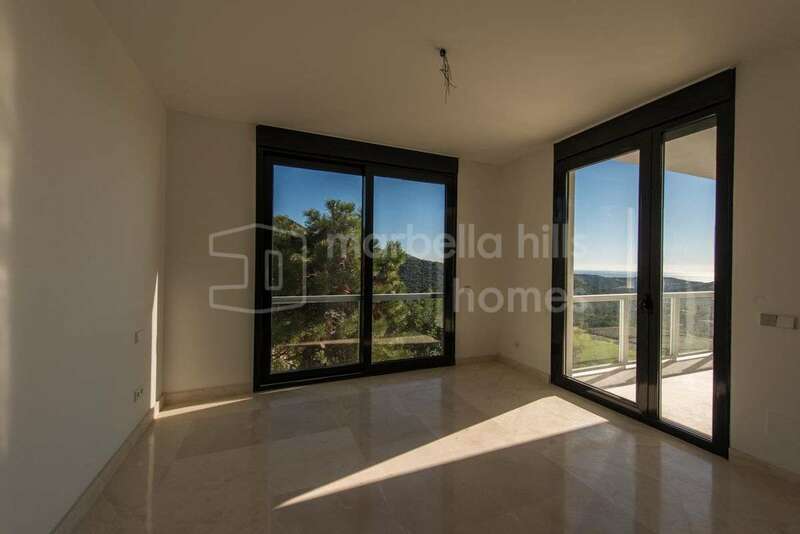 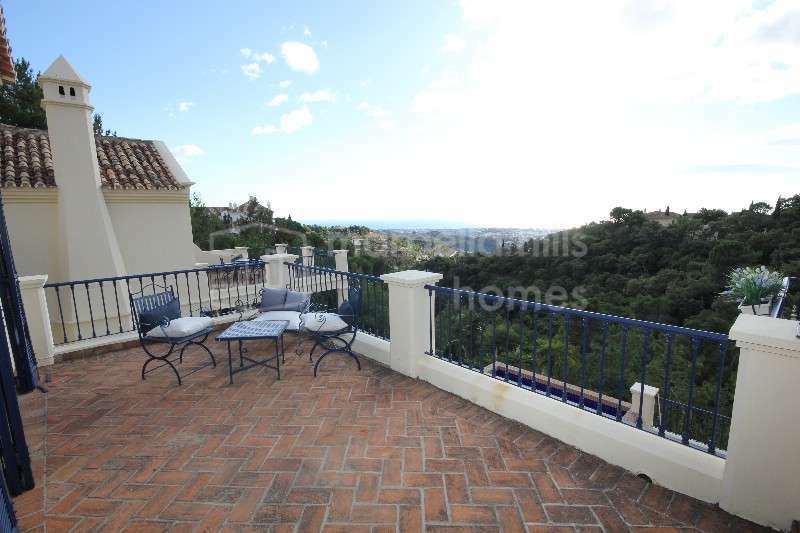 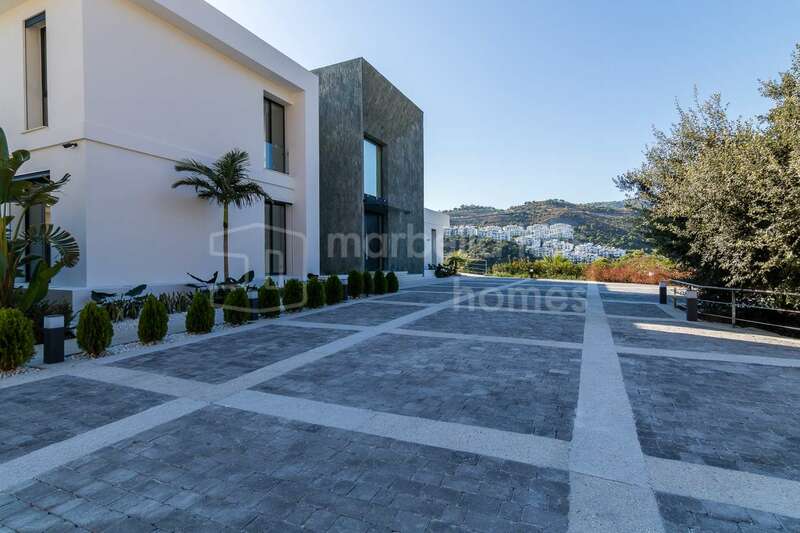 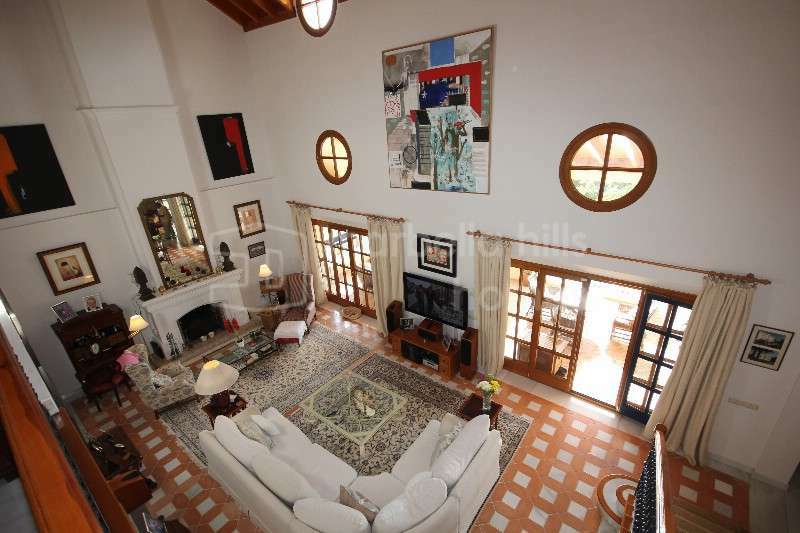 A truly fabulous villa with superb views, overlooking the valley of El Madroñal and beyond to the Mediterranean. 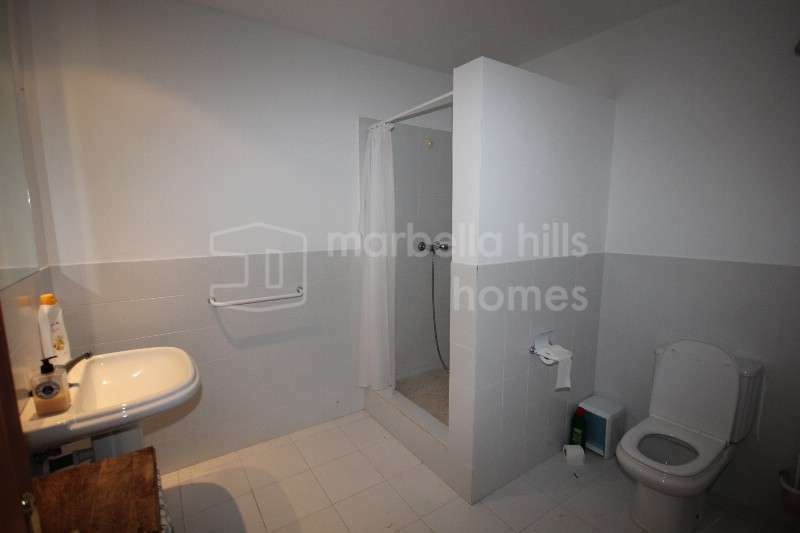 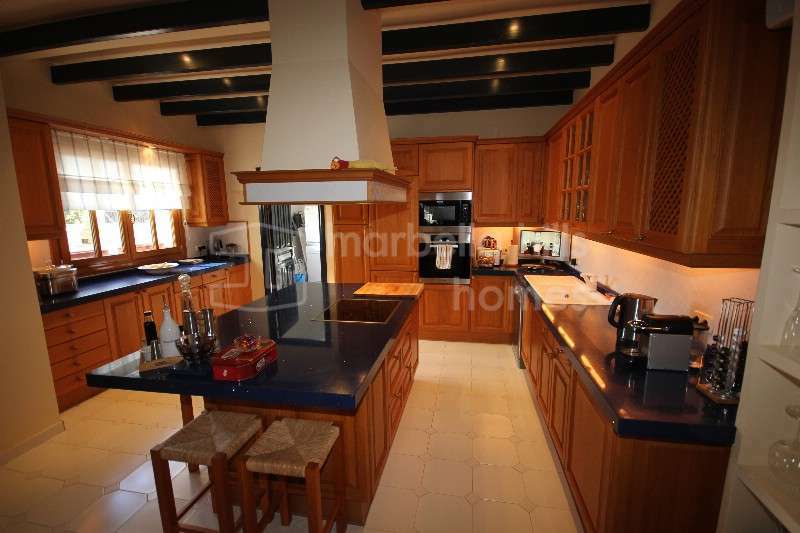 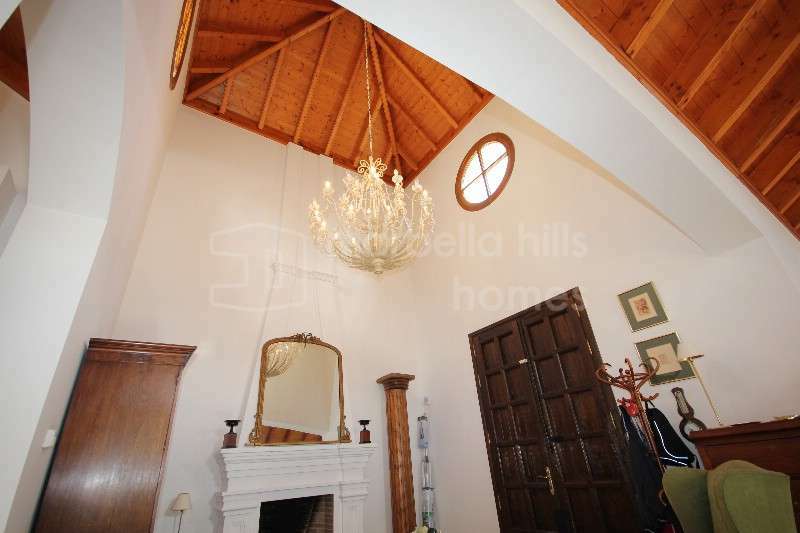 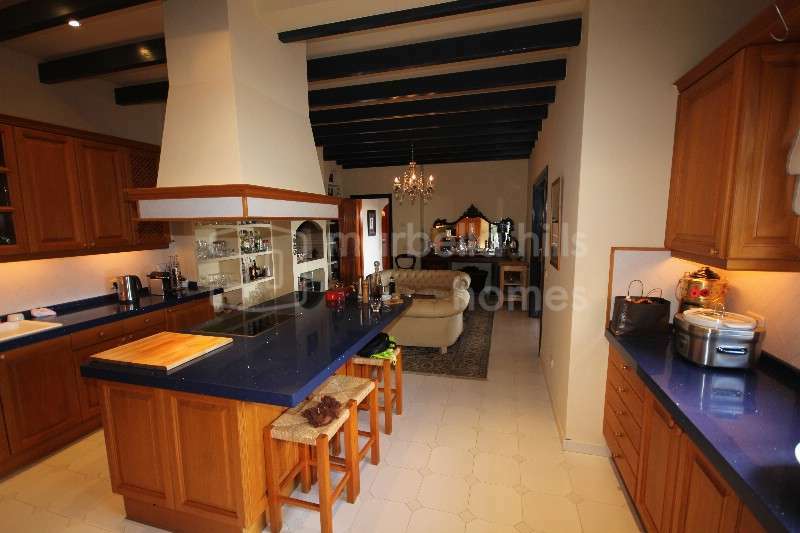 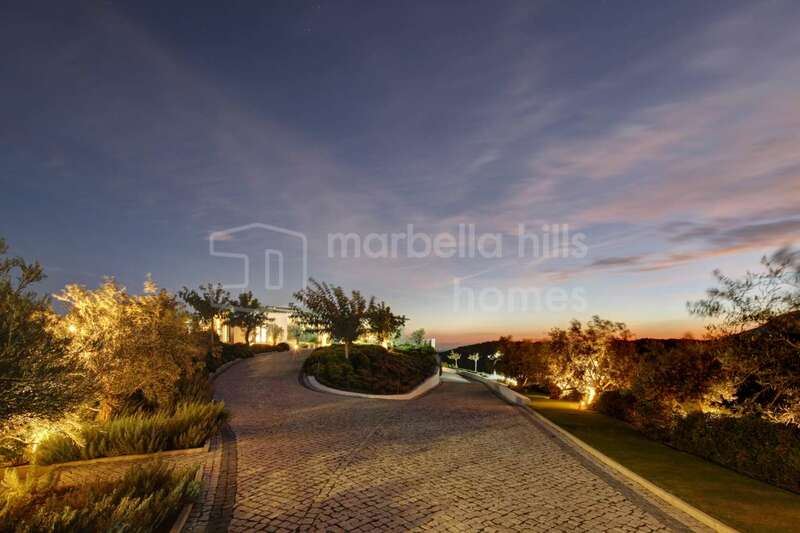 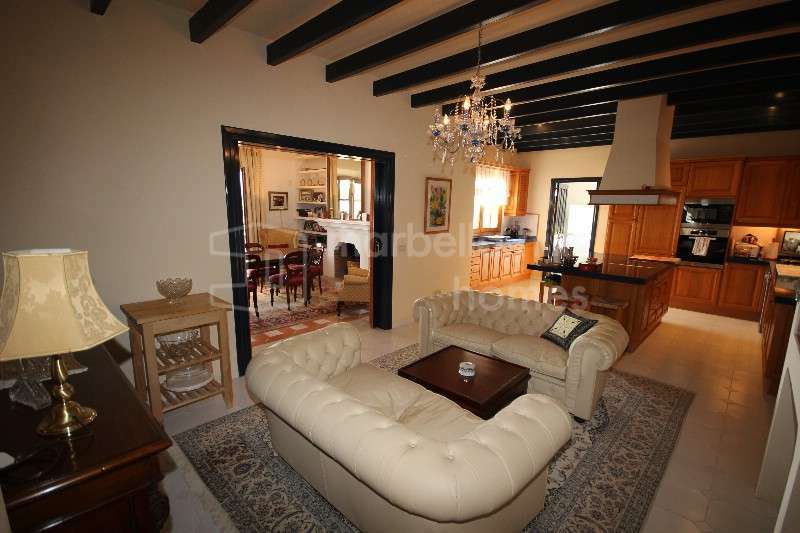 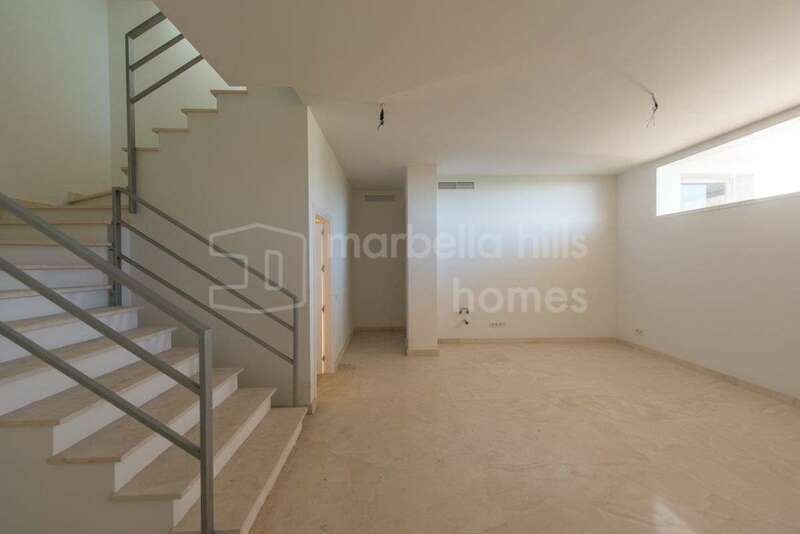 Probably one of the best situated villas on the whole of this exclusive gated community. 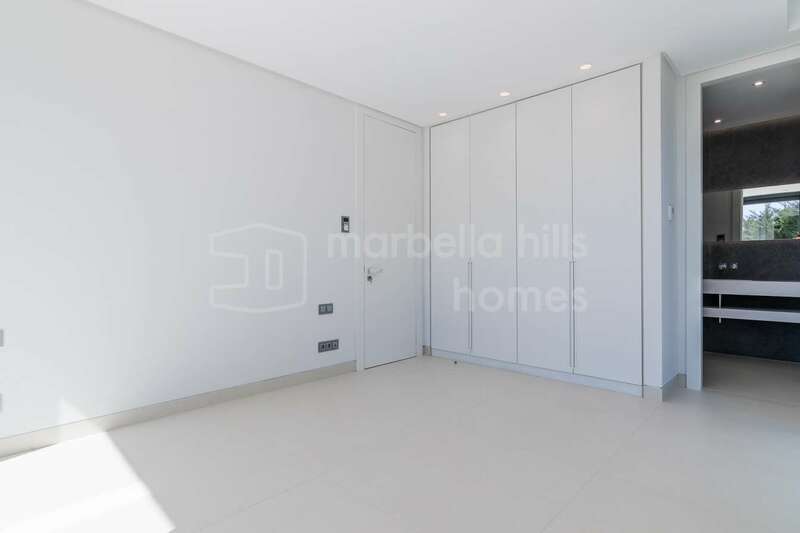 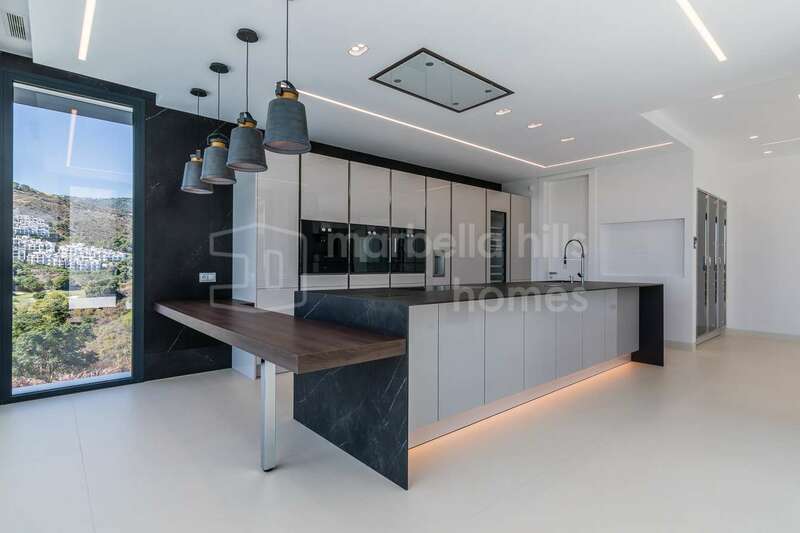 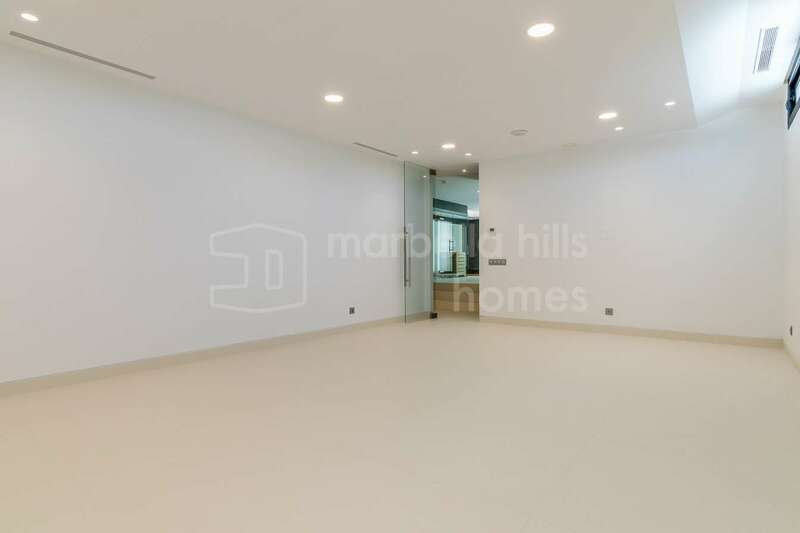 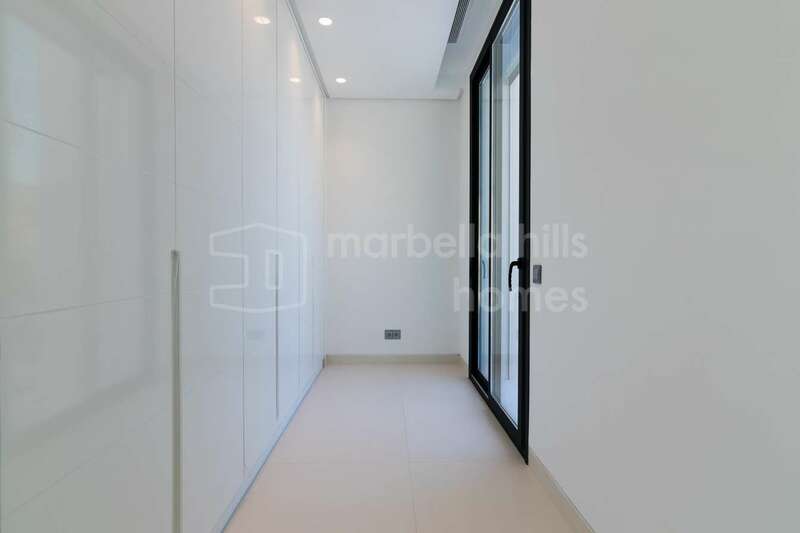 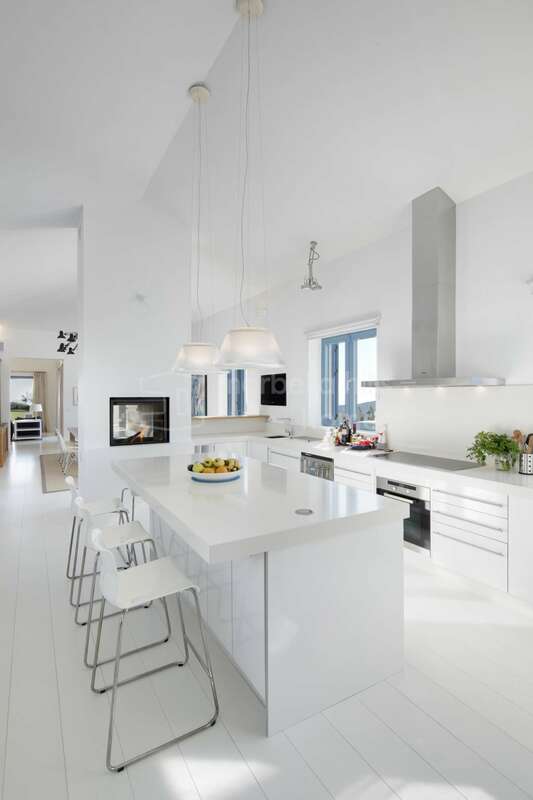 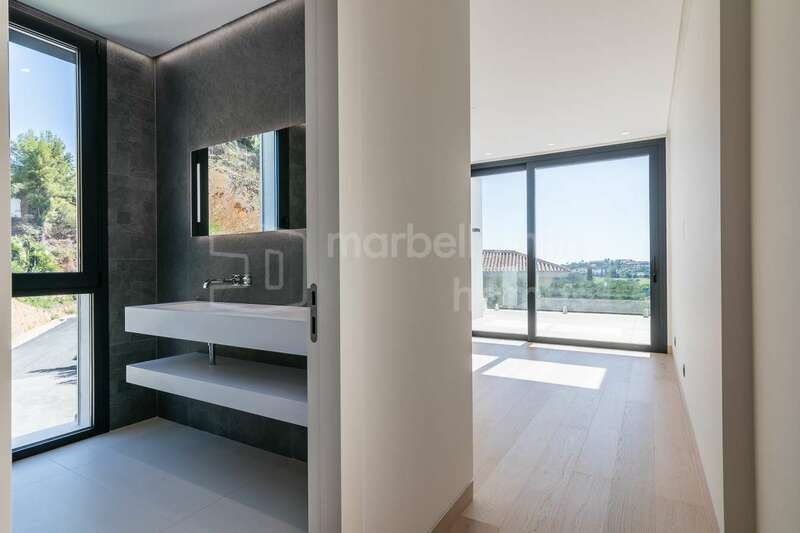 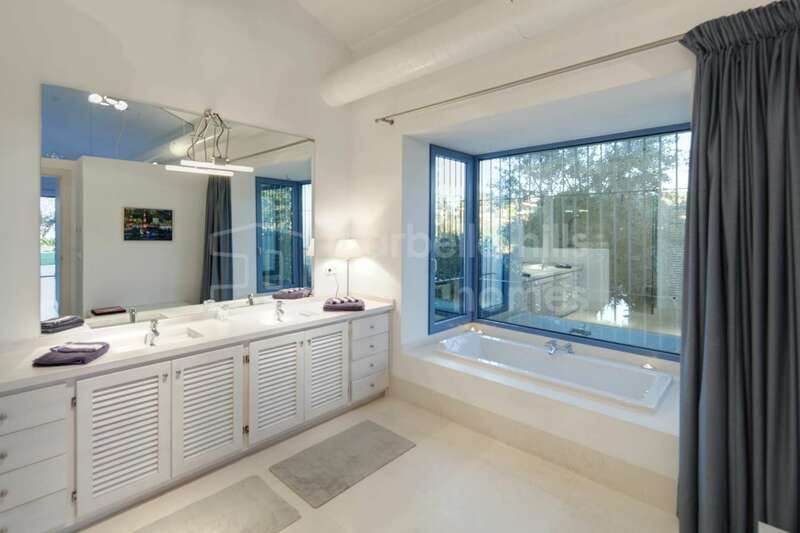 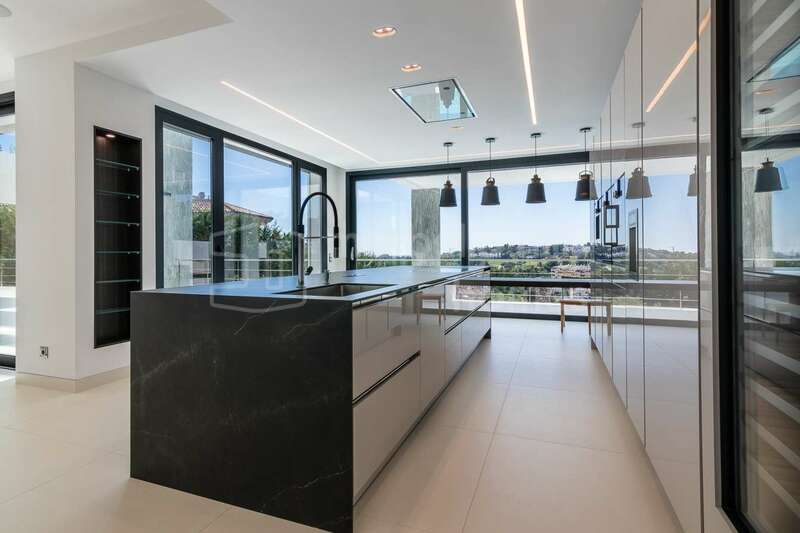 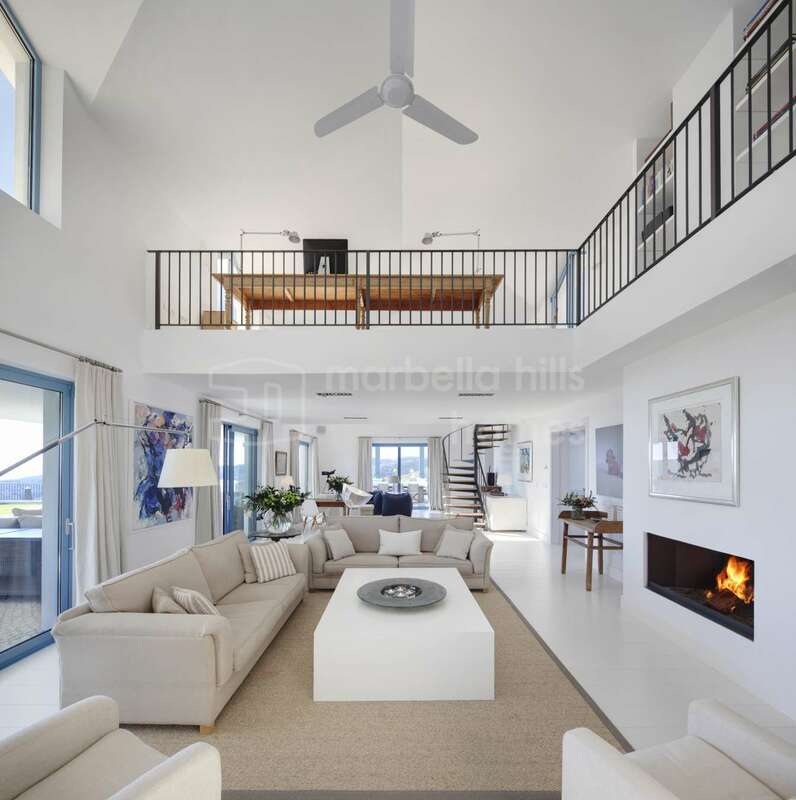 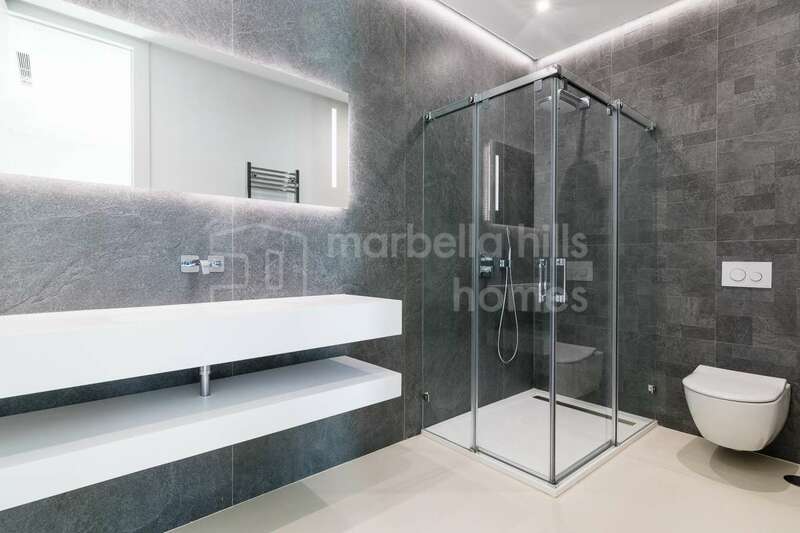 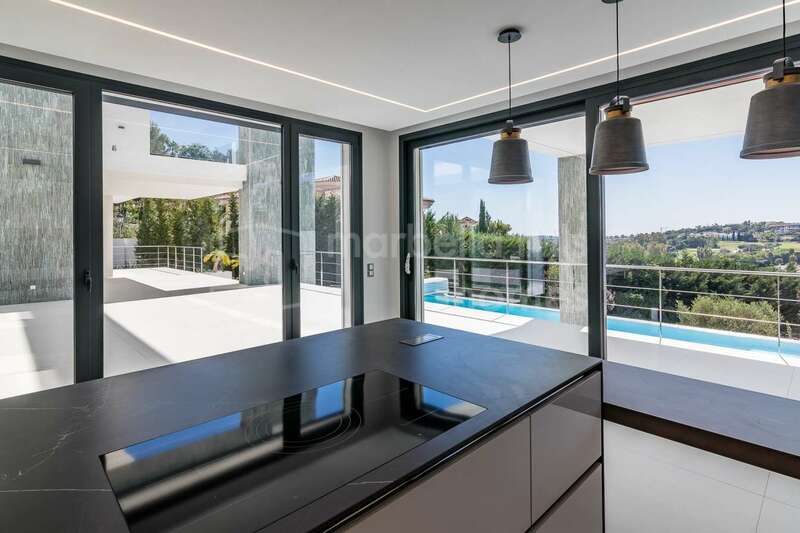 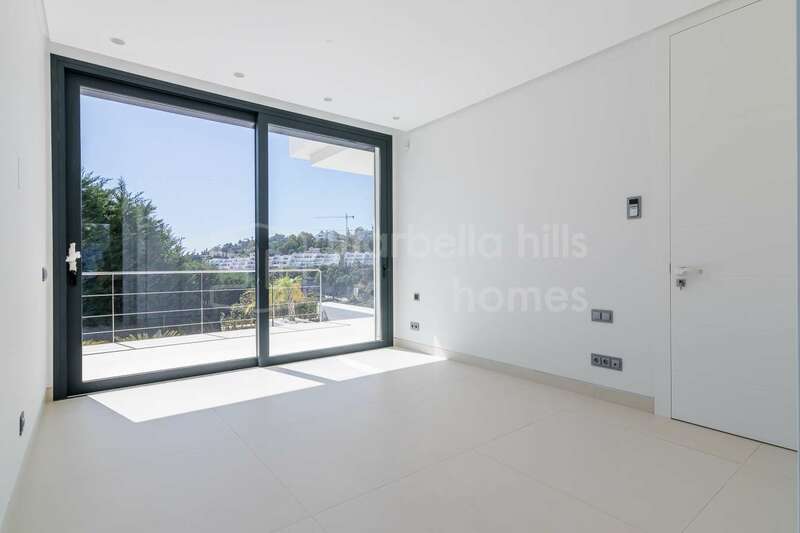 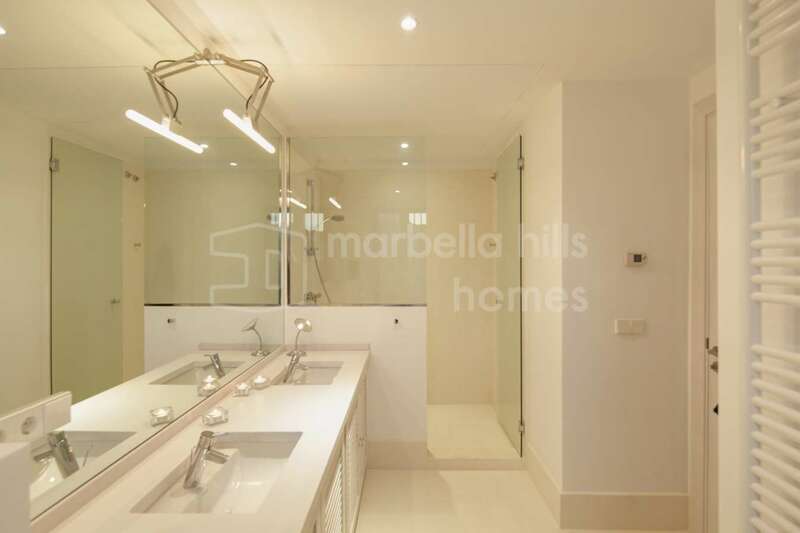 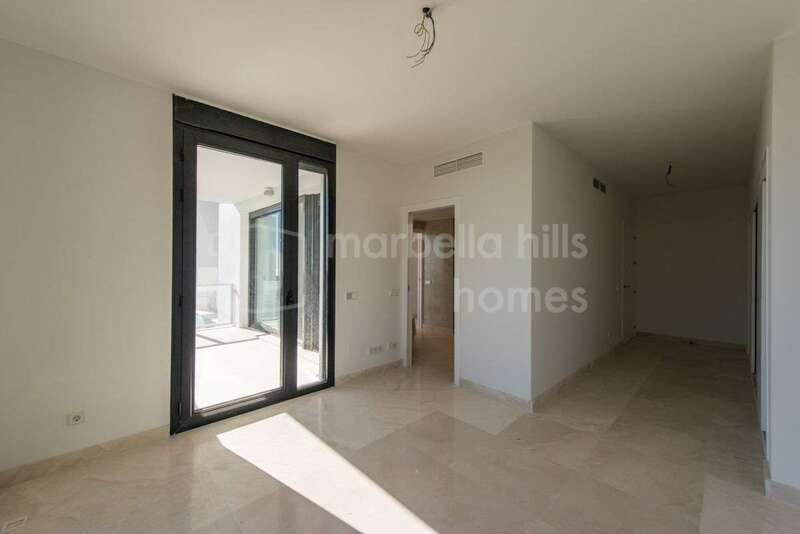 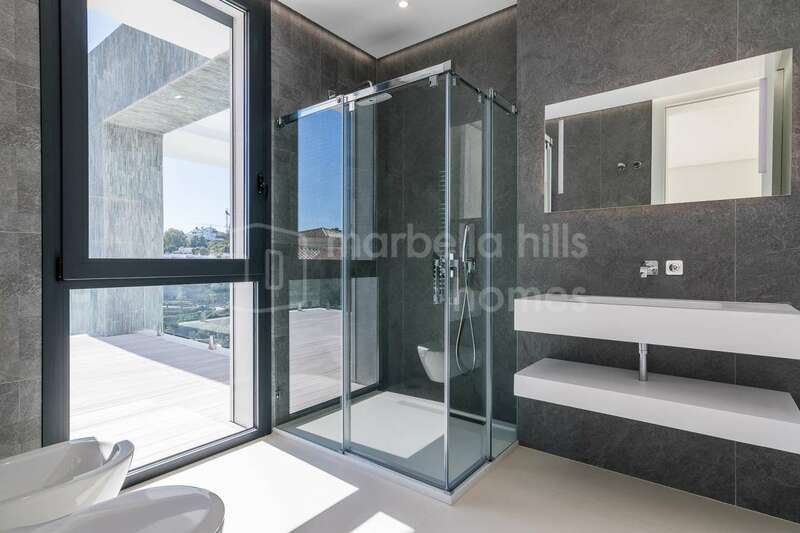 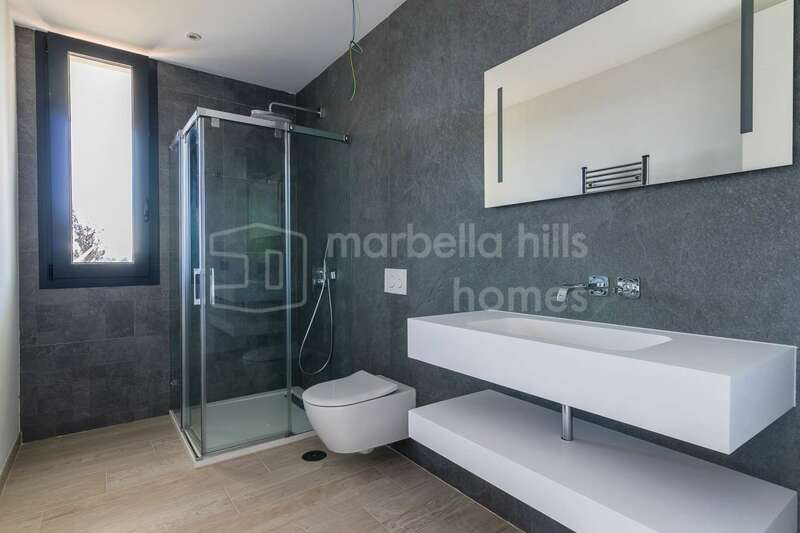 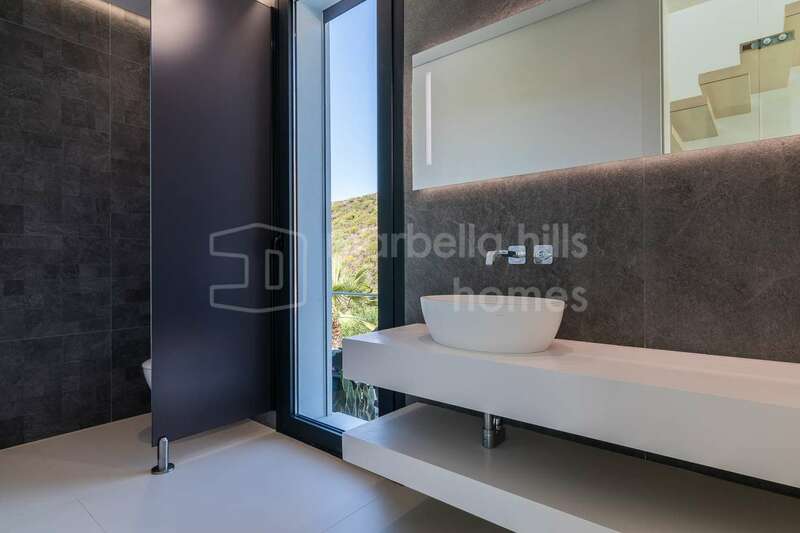 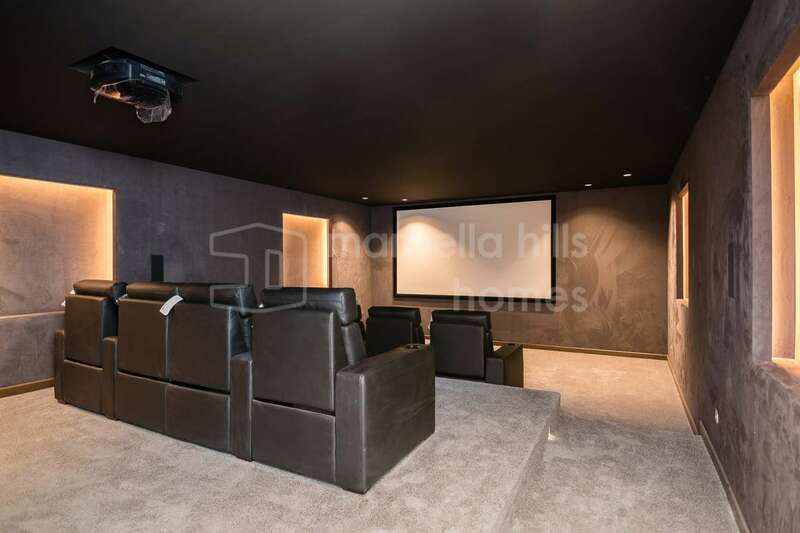 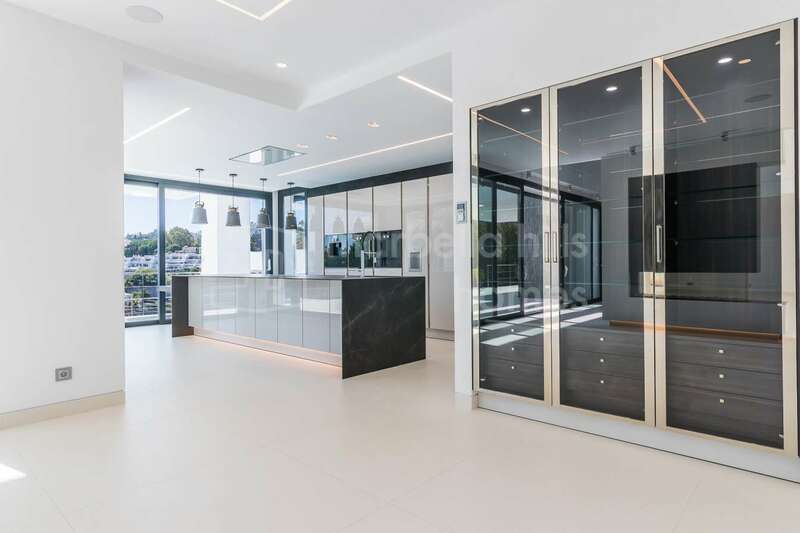 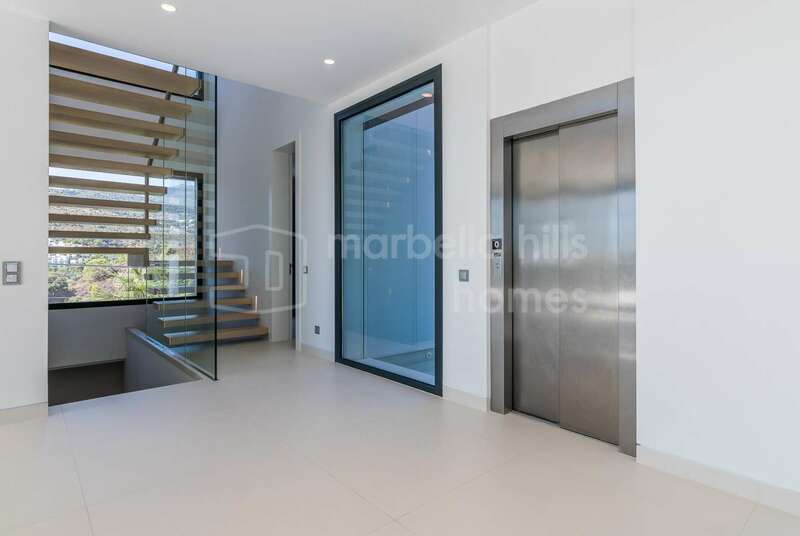 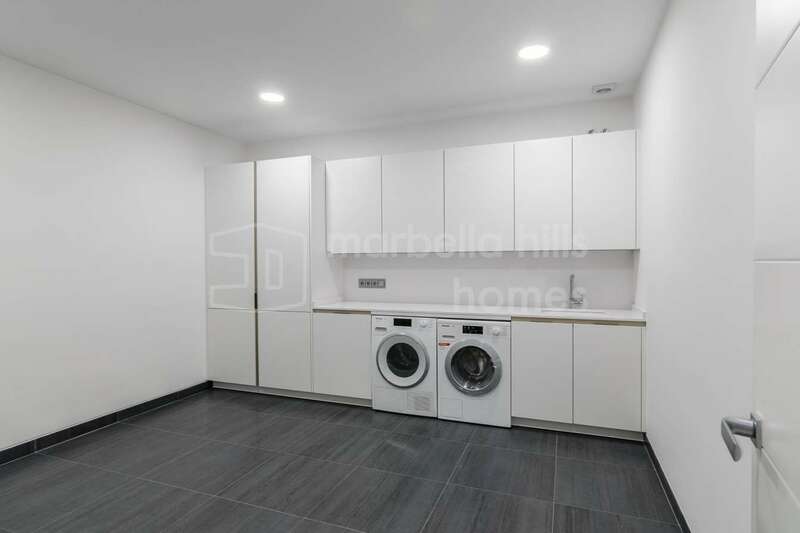 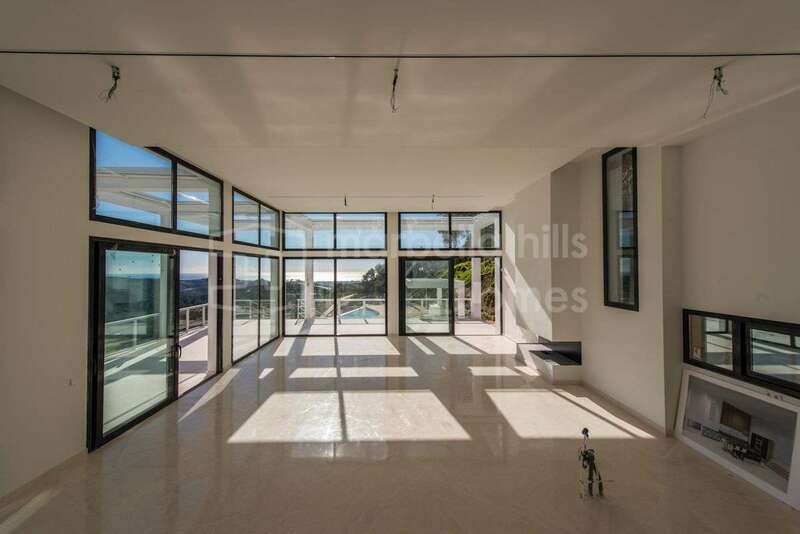 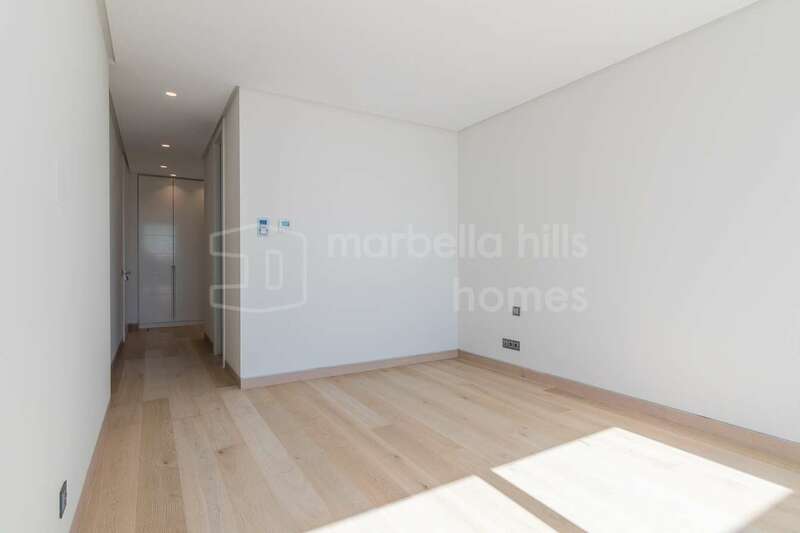 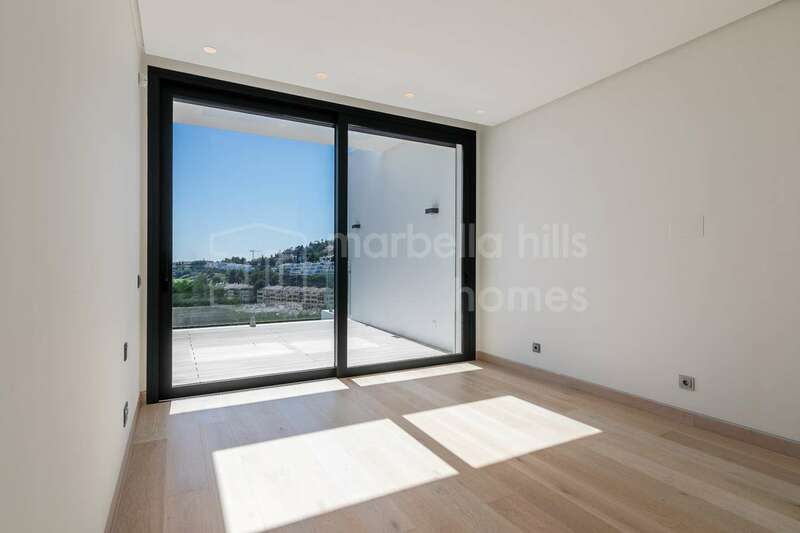 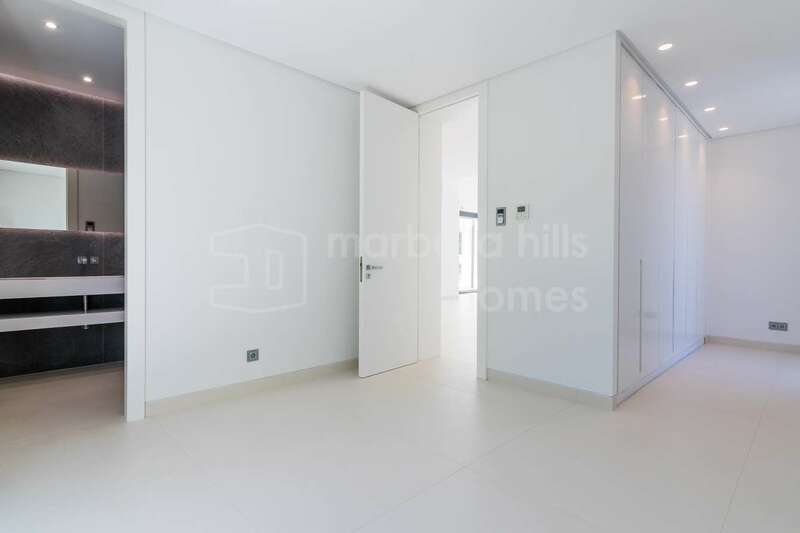 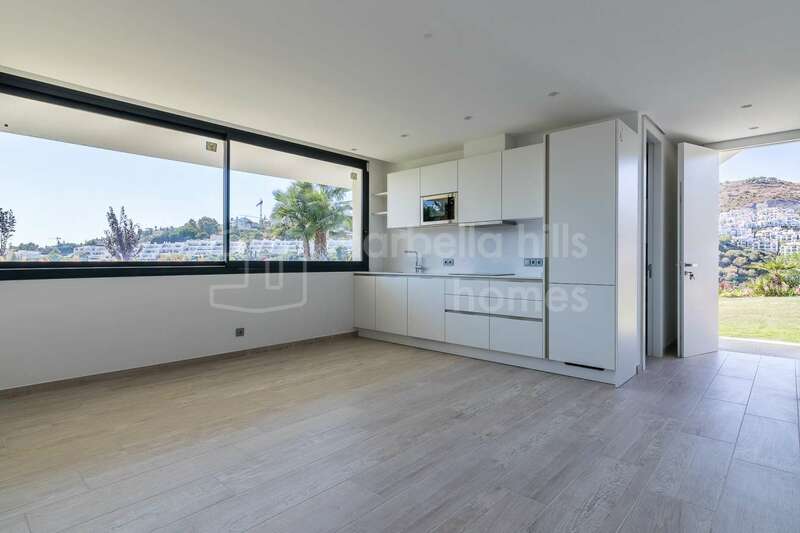 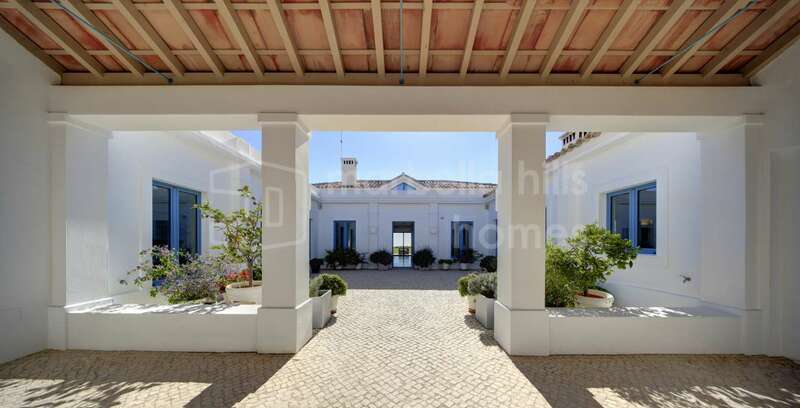 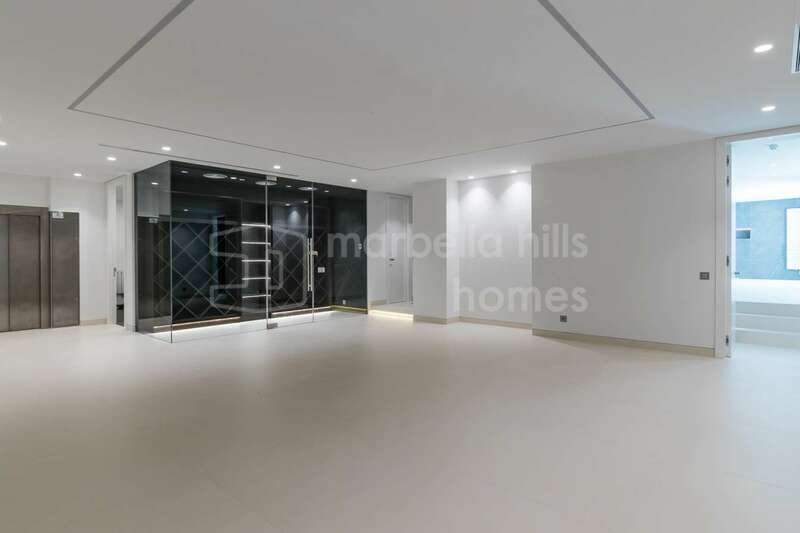 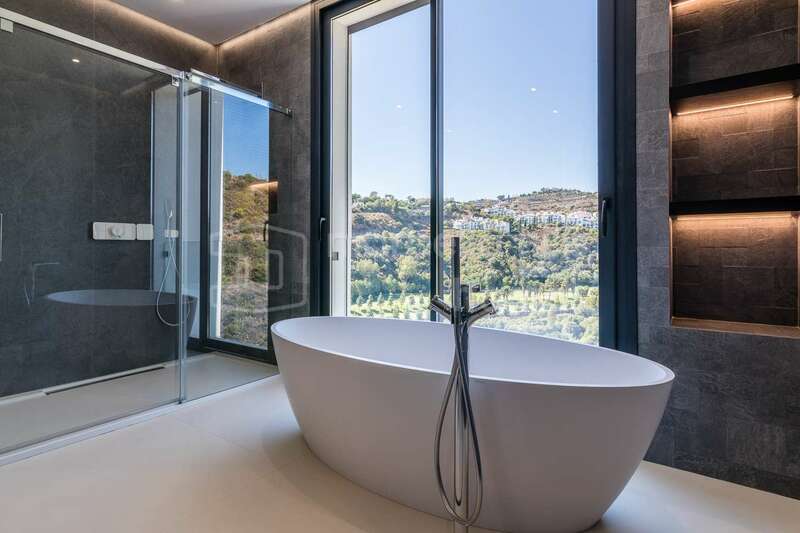 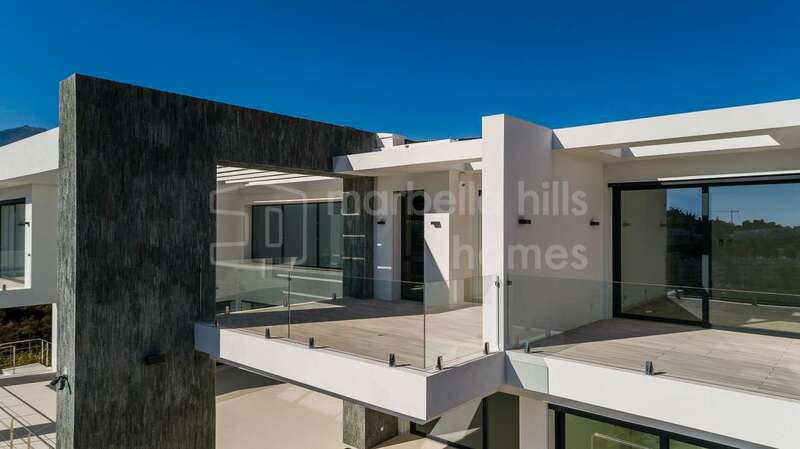 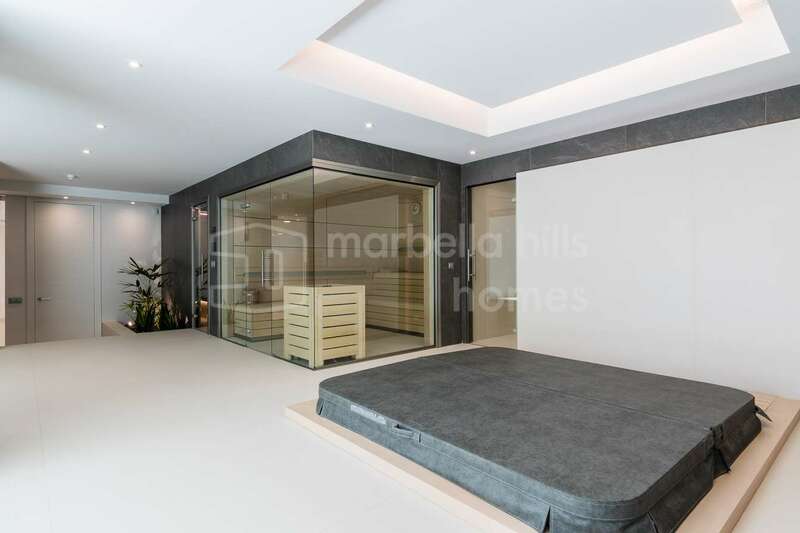 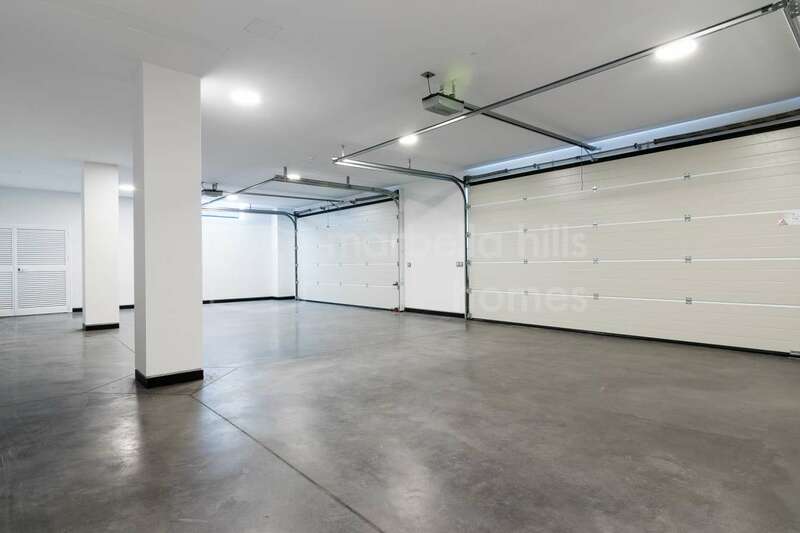 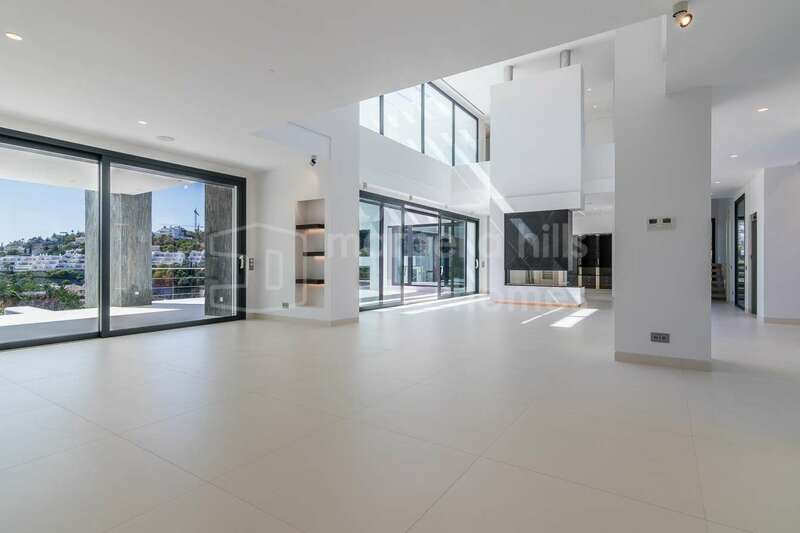 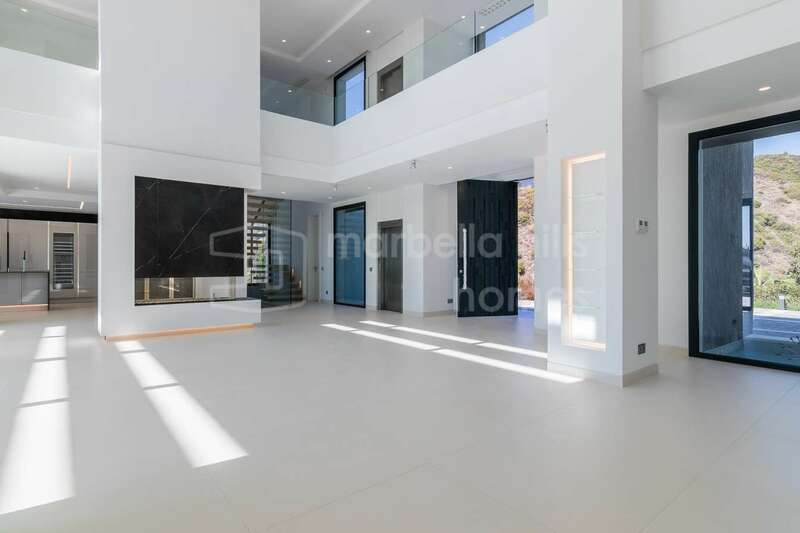 This exceptional property has been maintained to an impeccable standard and needs to be viewed to fully appreciate the high quality of its fixtures and fittings. 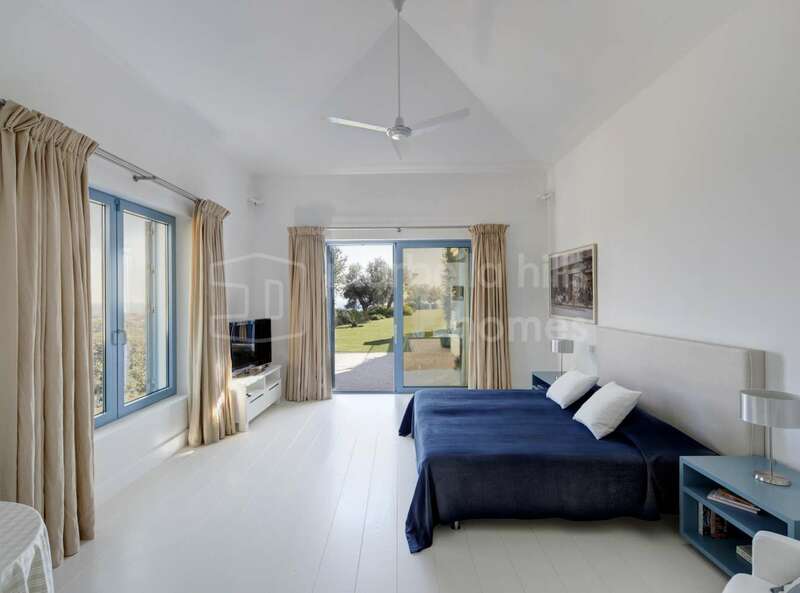 All of the bedrooms are suites with individual bathrooms, sitting areas and ample wardrobe space. 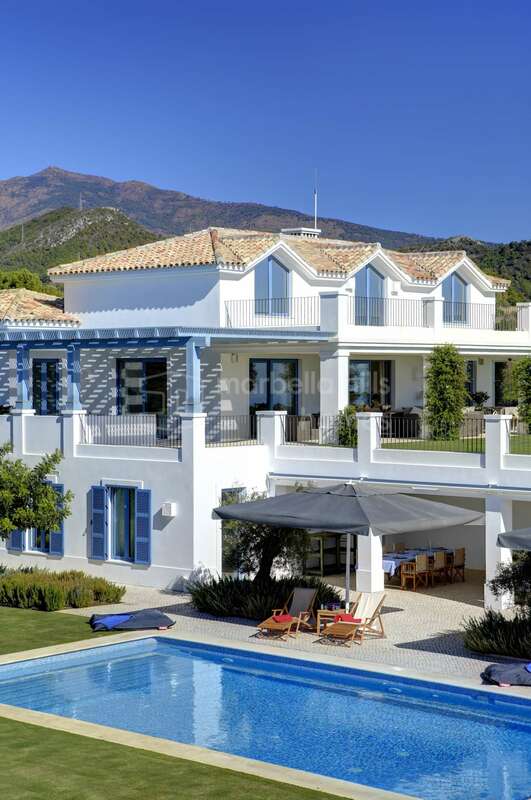 Each lead onto terraces or directly out into the garden. 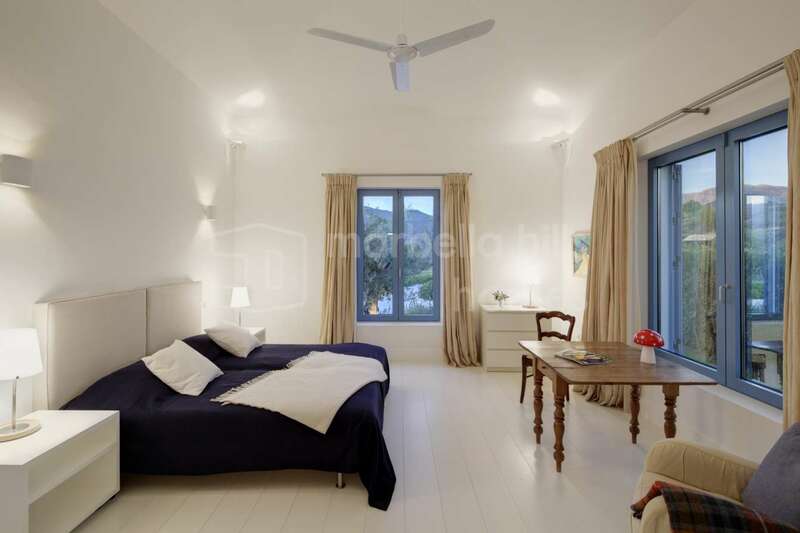 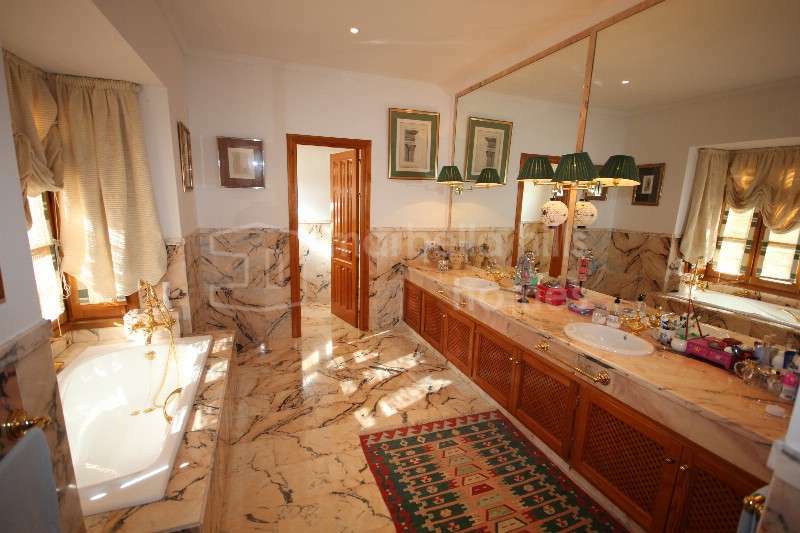 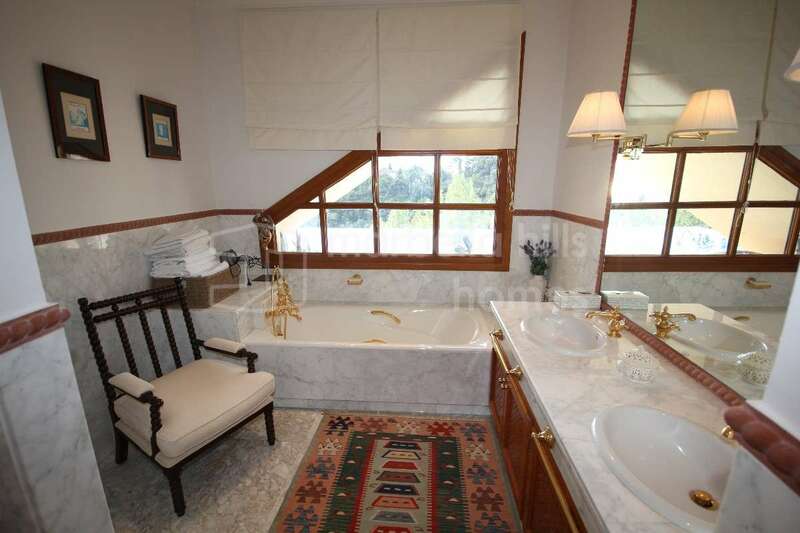 The Master bedroom is in the west wing of the villa with its own sitting room-study, huge walk through dressing room and bathroom with large sunken marble Jacuzzi bath. 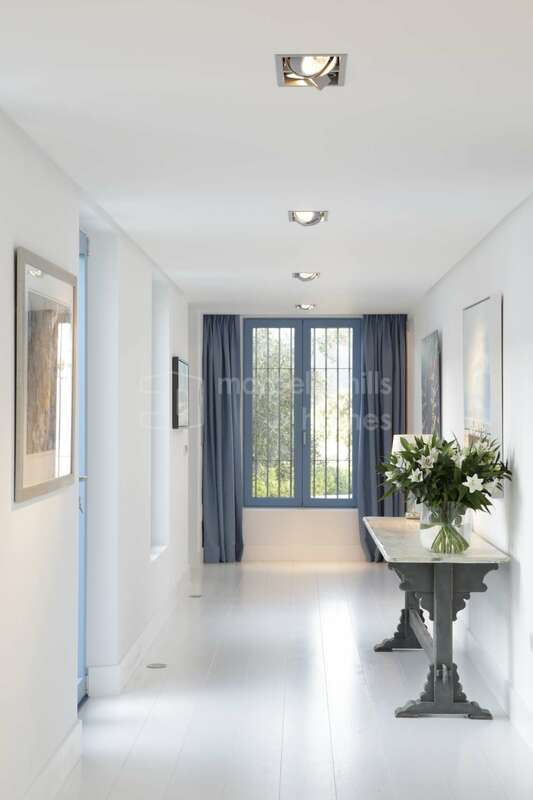 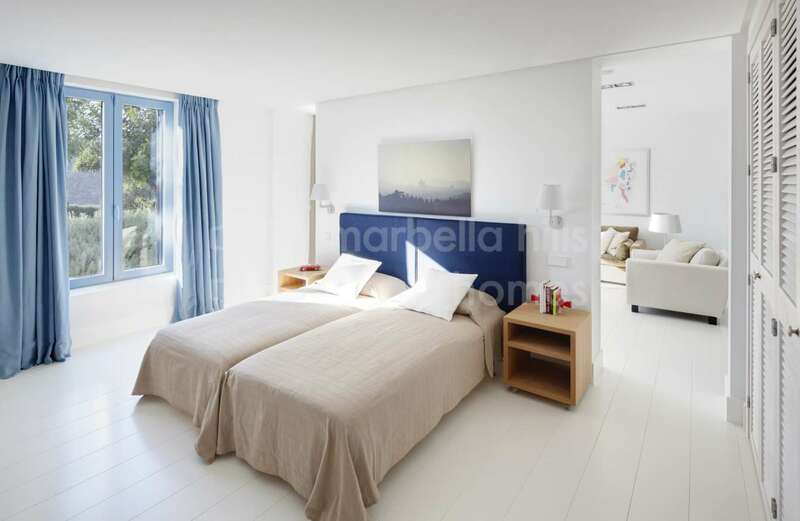 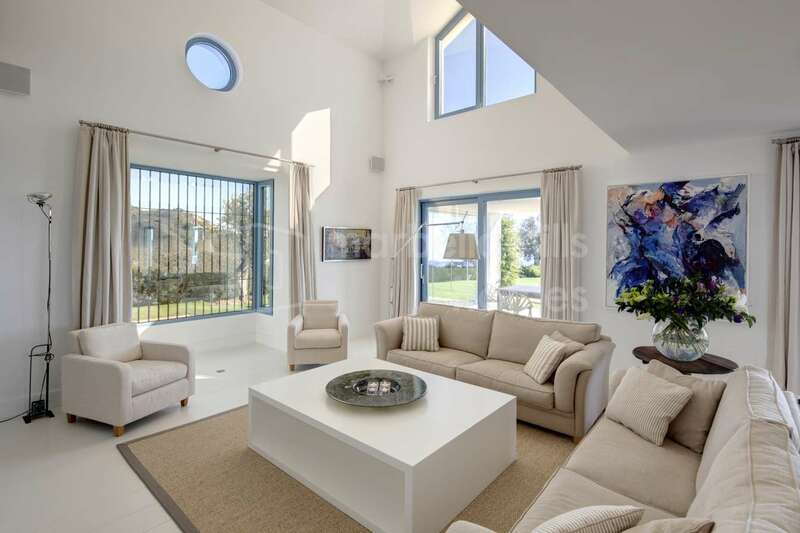 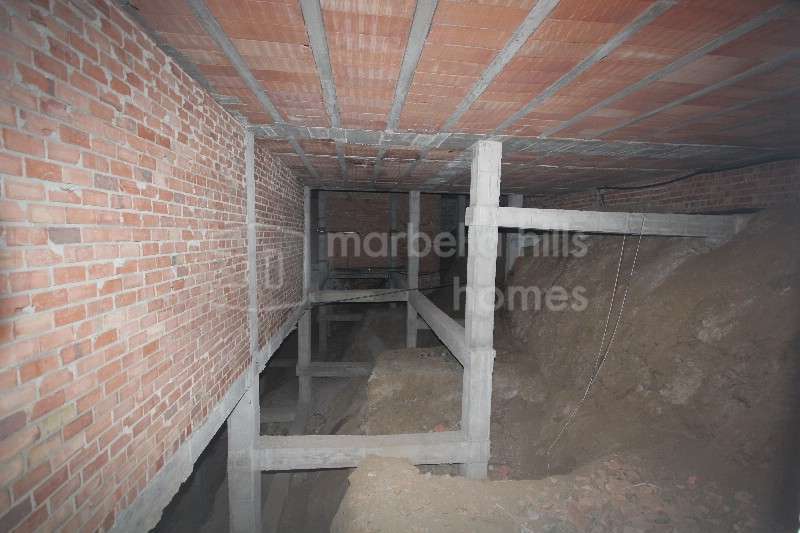 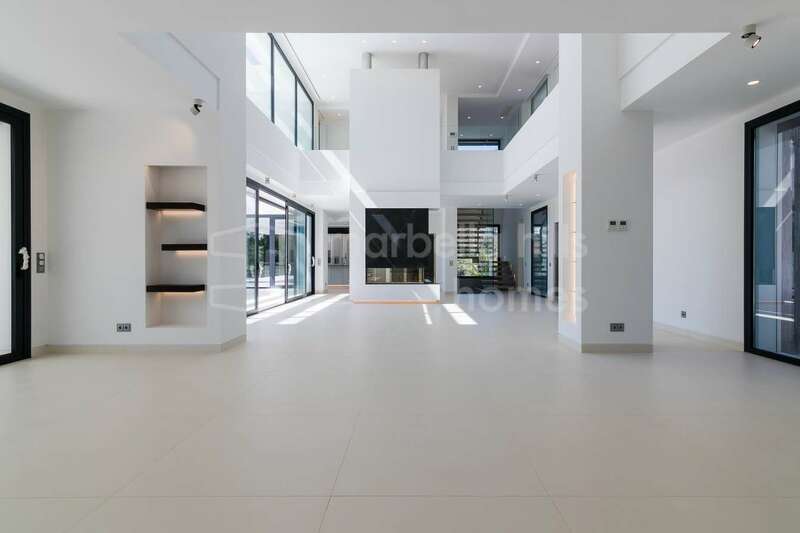 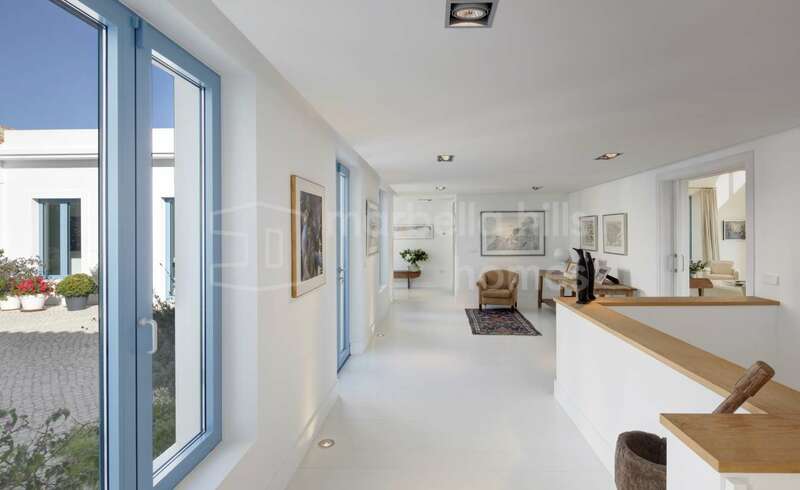 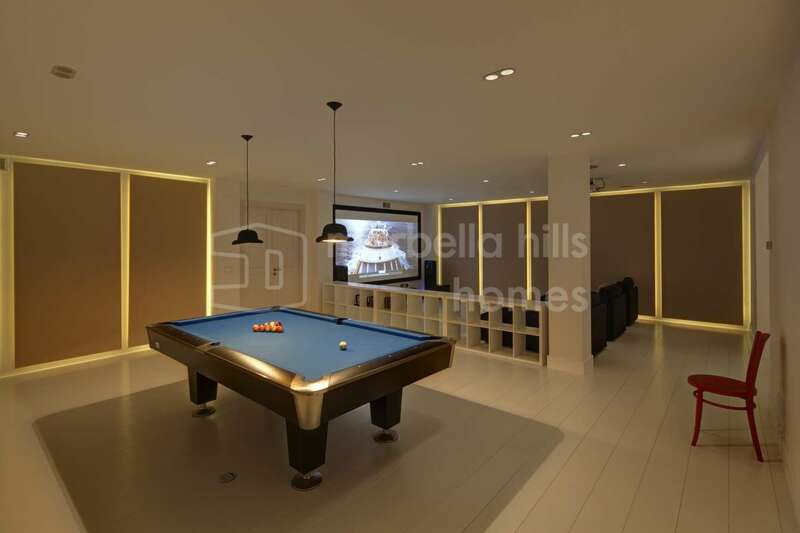 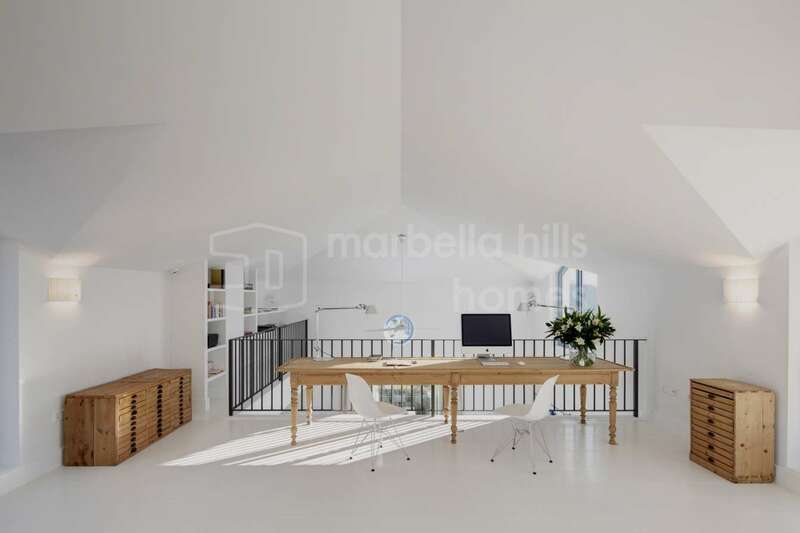 The living areas consist of main entrance hall, lounge, snooker room, large cloakroom, kitchen-sitting room with utility, dining room and a further sitting area which connects to the Master wing. 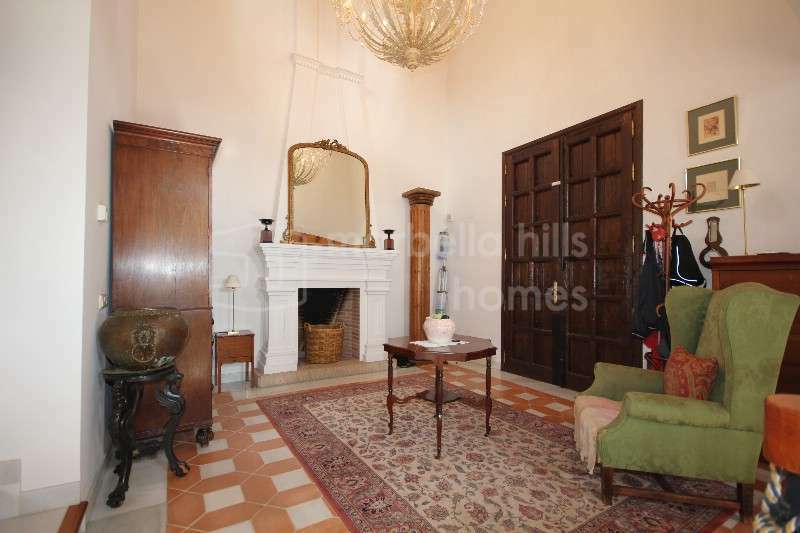 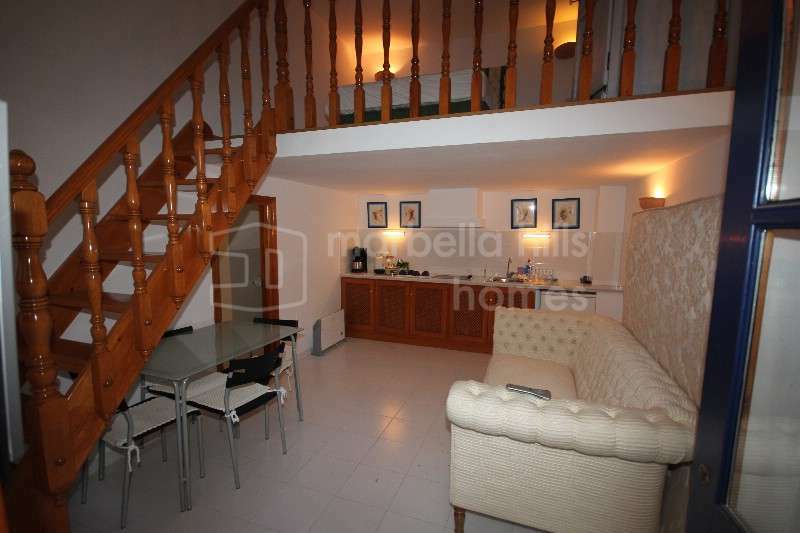 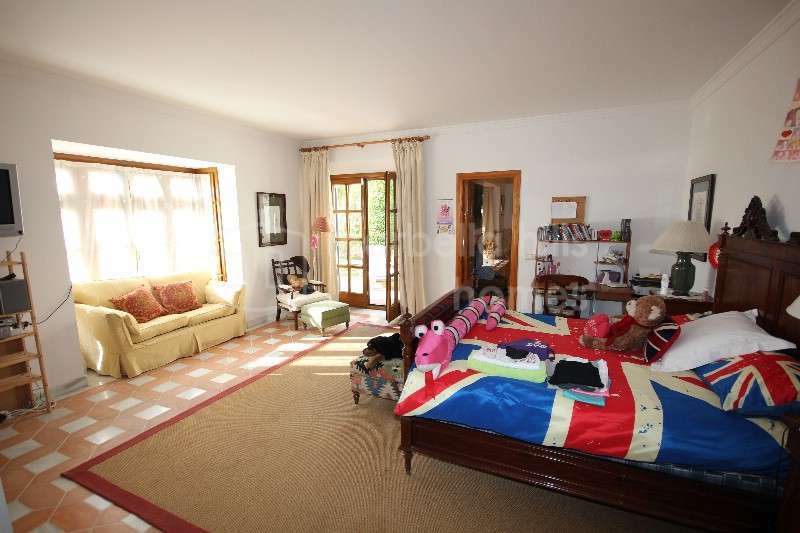 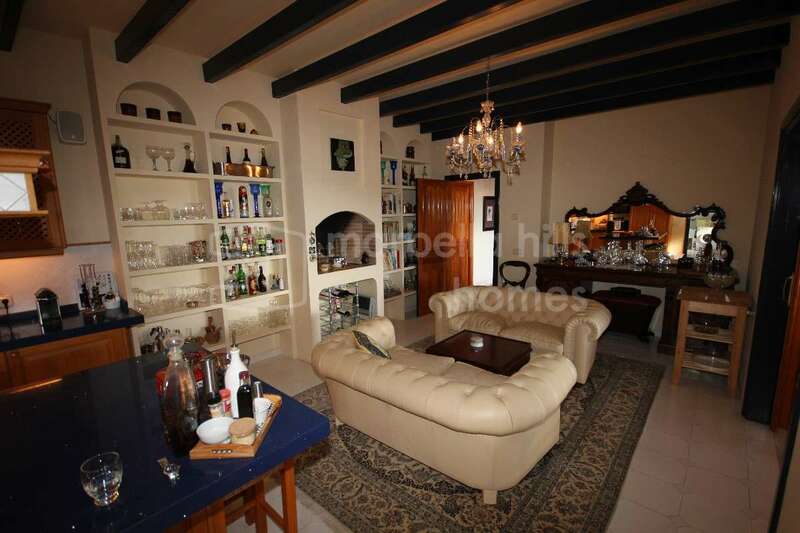 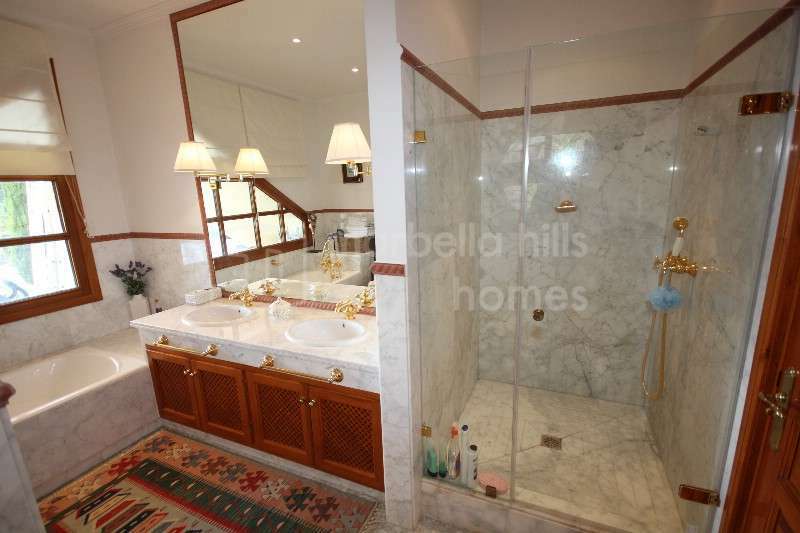 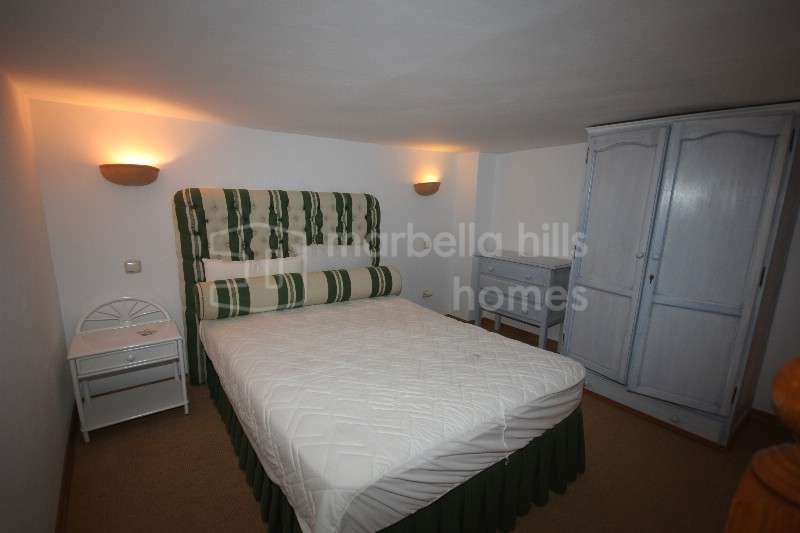 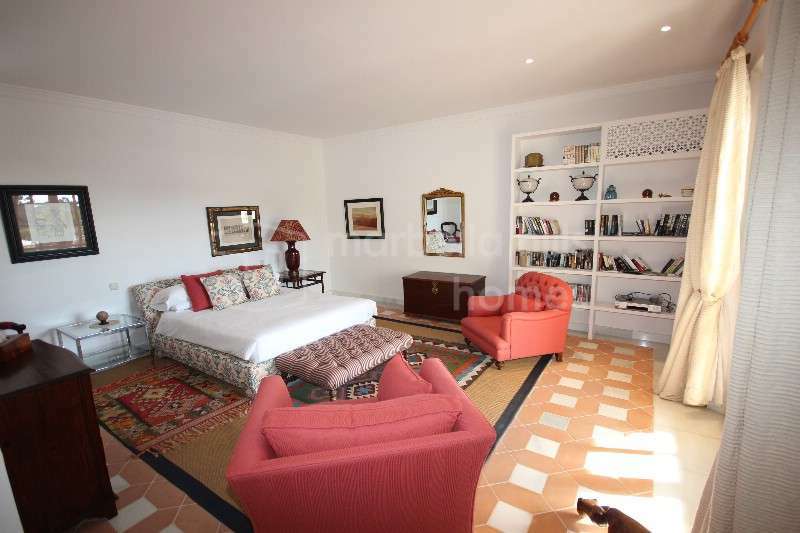 There are also separate staff quarters comprising sitting room/kitchenette, bathroom and balconied bedroom. 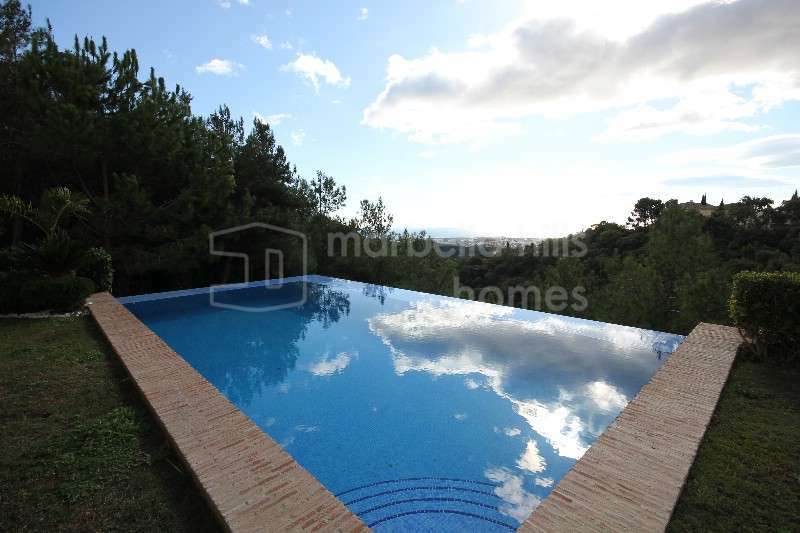 Extensive terraces lead onto the garden with infinity pool and beyond to a peaceful wooded area. 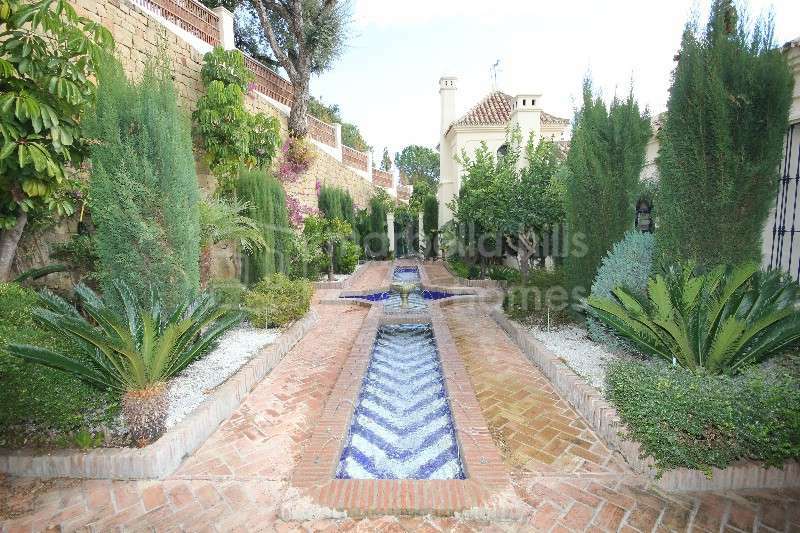 The "Alhambra Palace" rear garden has a covered columned sitting area overlooking a beautifully tiled fountain feature. 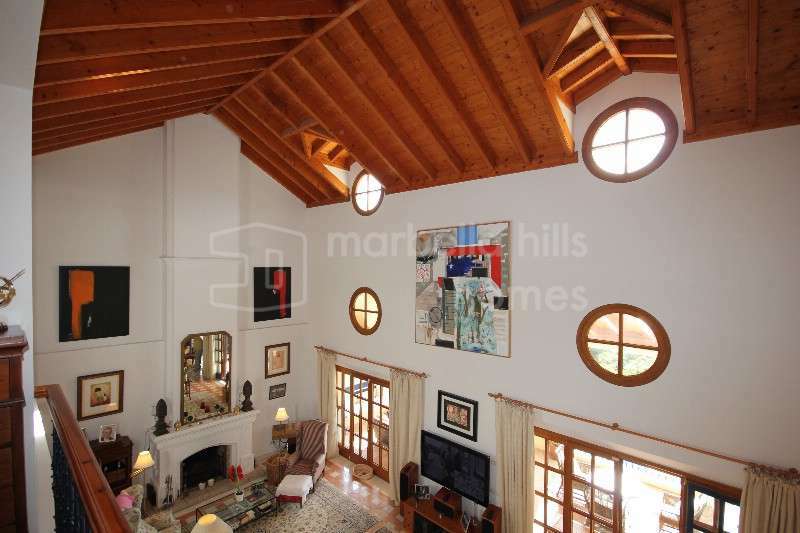 Fireplace, Satellite TV, Alarm, Video entrance, Dining room, Living room, Study room, Water tank, Air conditioning, Central heating. 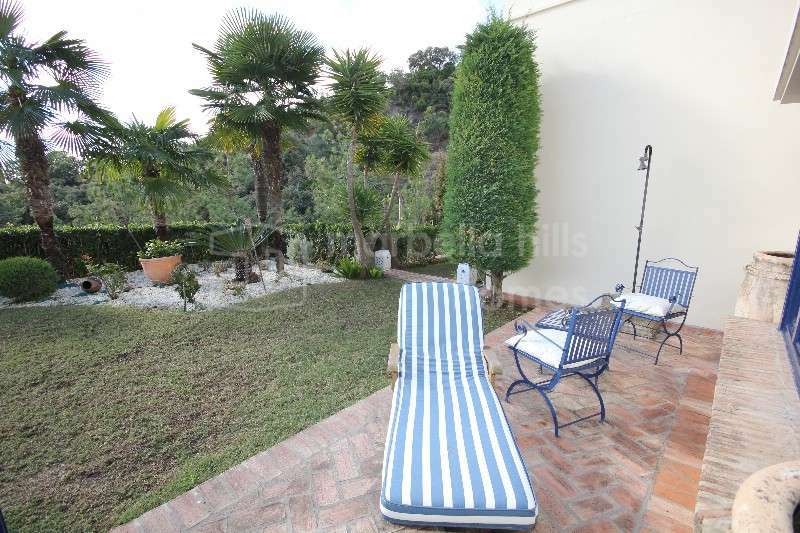 Living in El Madroñal brings you closer to nature. 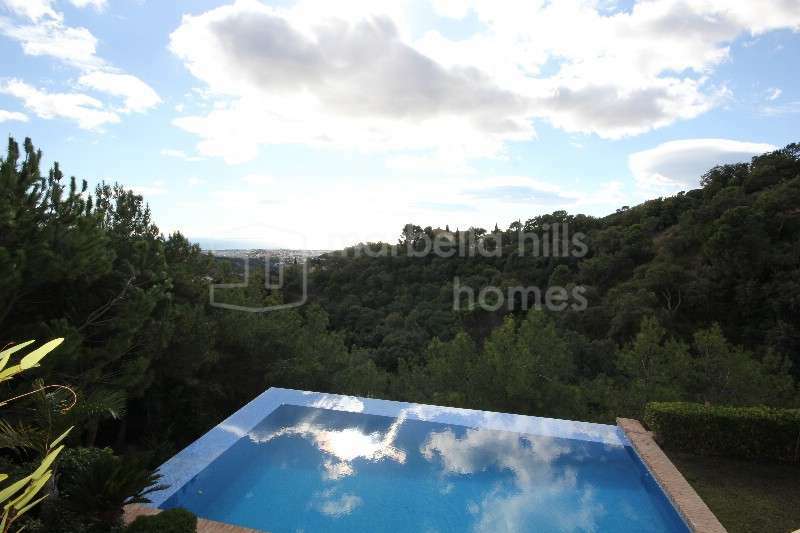 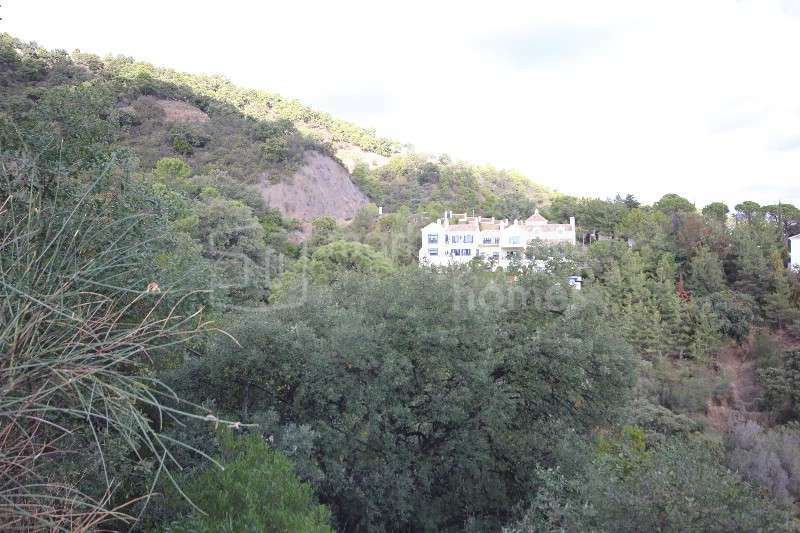 Sitting above the Guadaiza river, its slopes are planted with cork trees, pines and a variety of shrubs to provide a lush, verdant landscape. 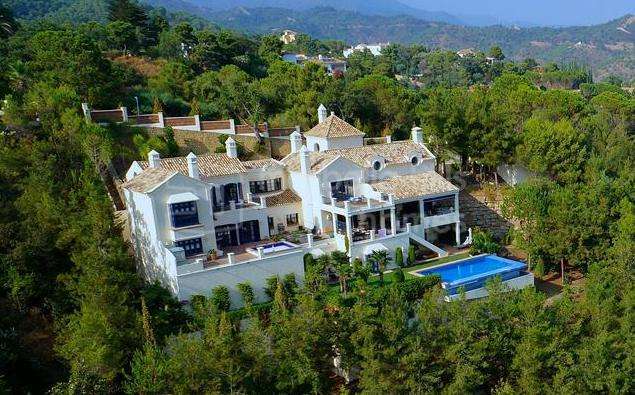 It is not short of wildlife either, and wild boars, deer and mountain goats roam the terrain, although residents needn’t worry about them invading their garden as they stick to their own domain.